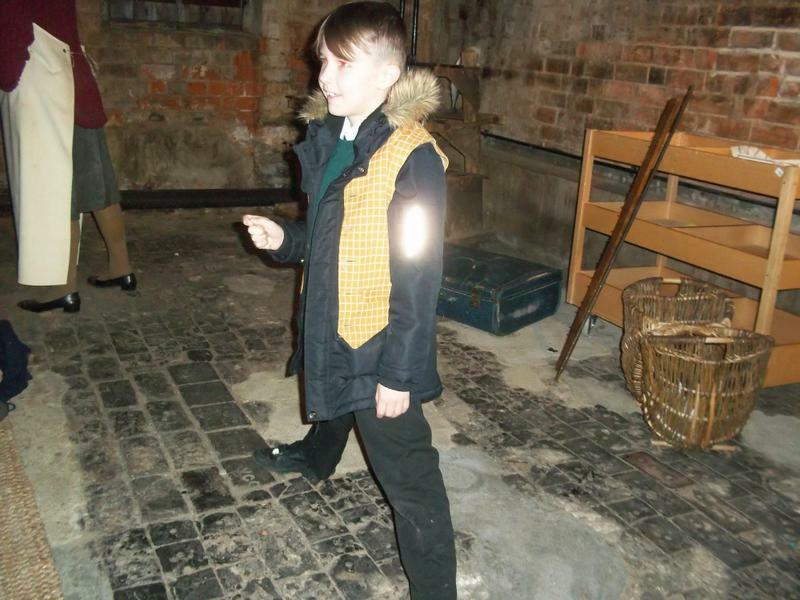 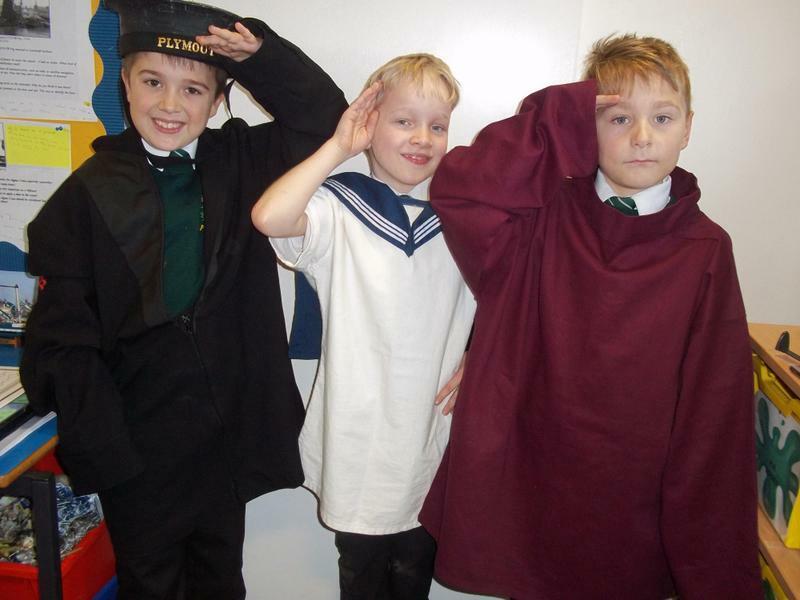 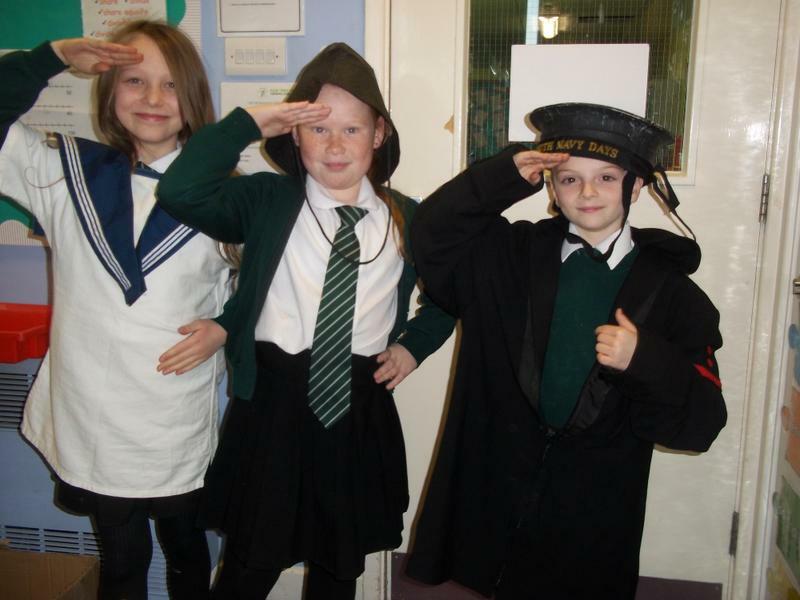 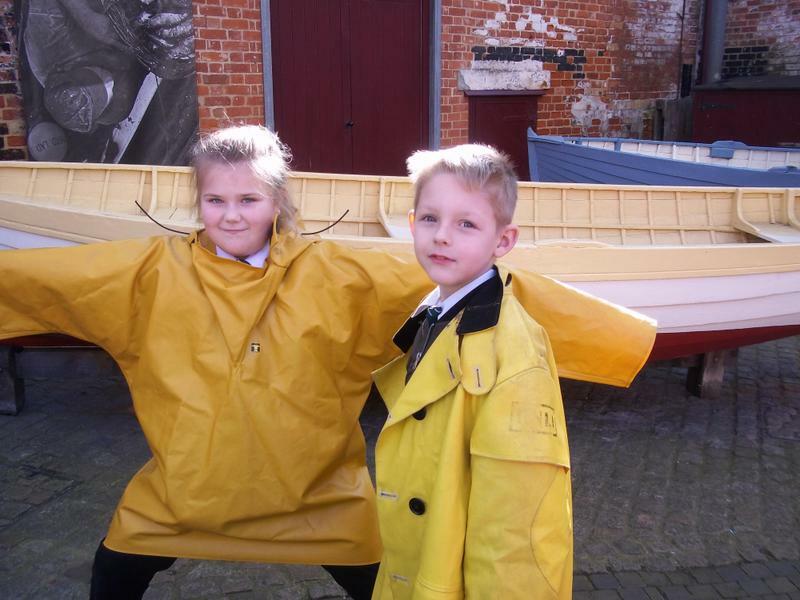 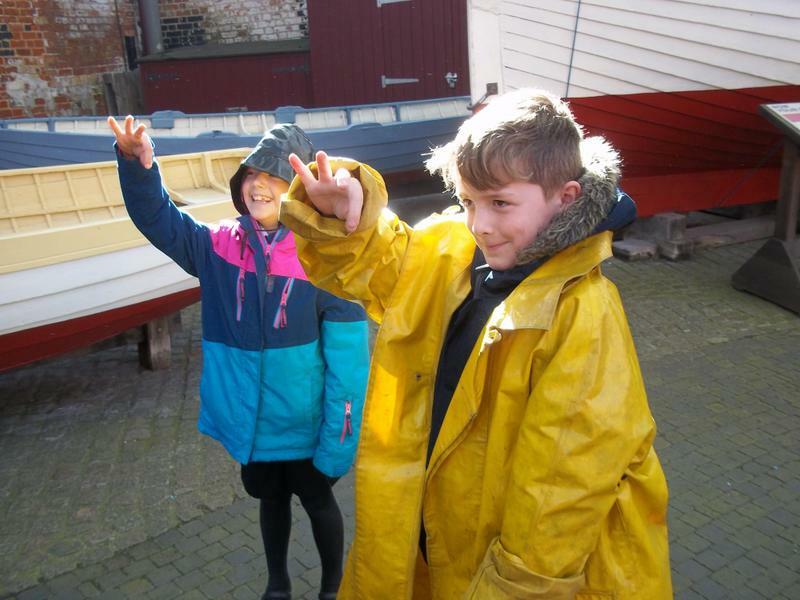 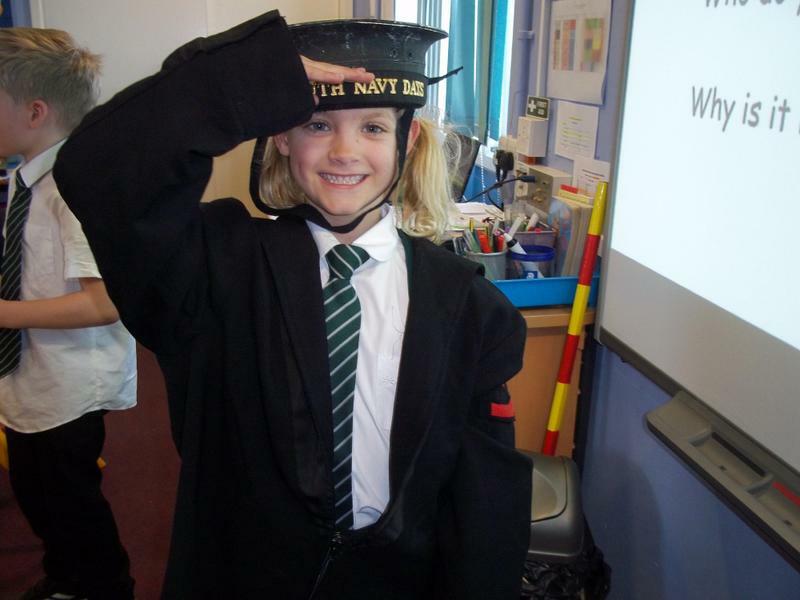 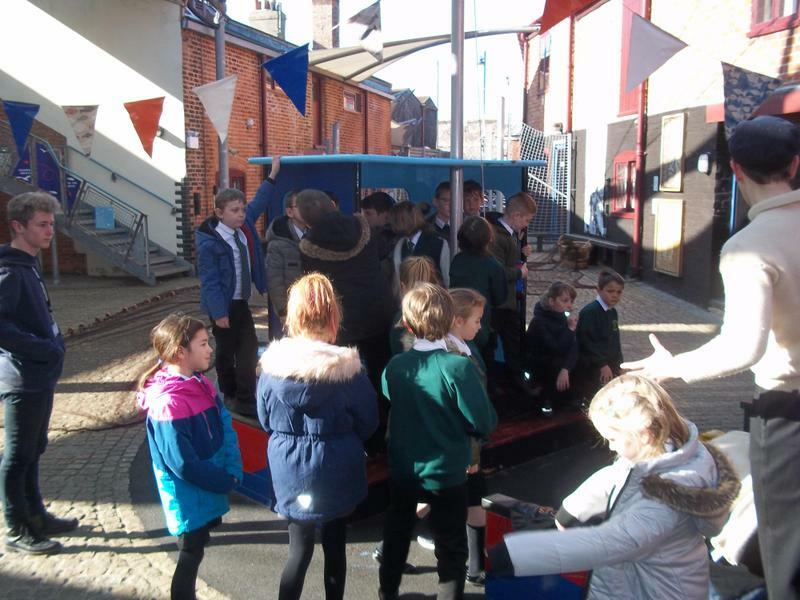 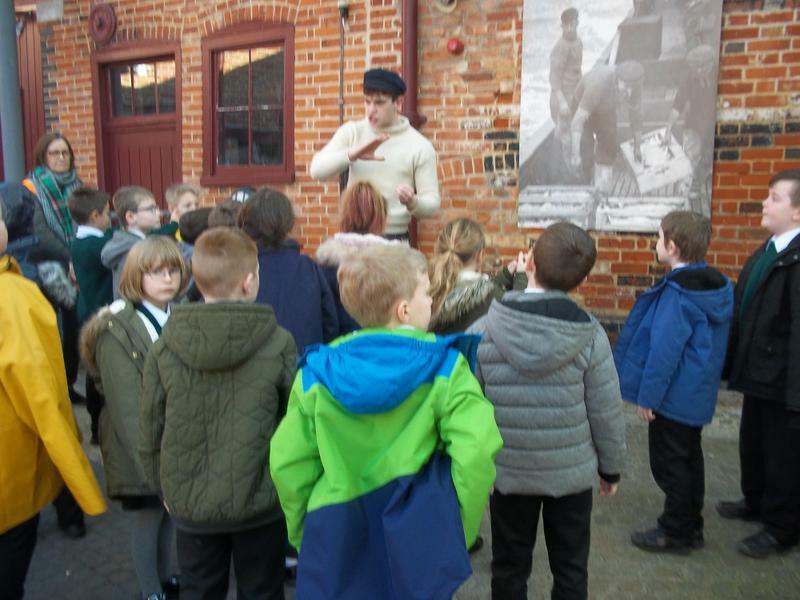 Year 3 had a fantastic time at the Time and Tide Museum. 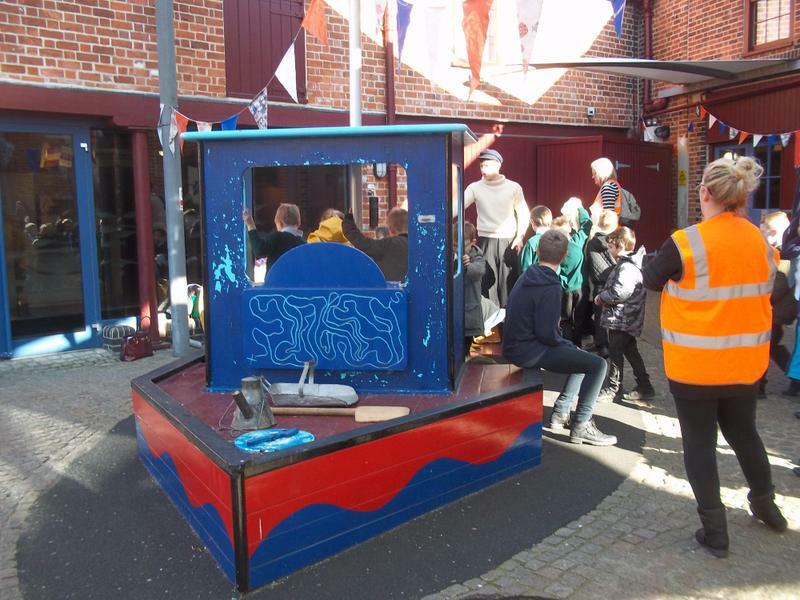 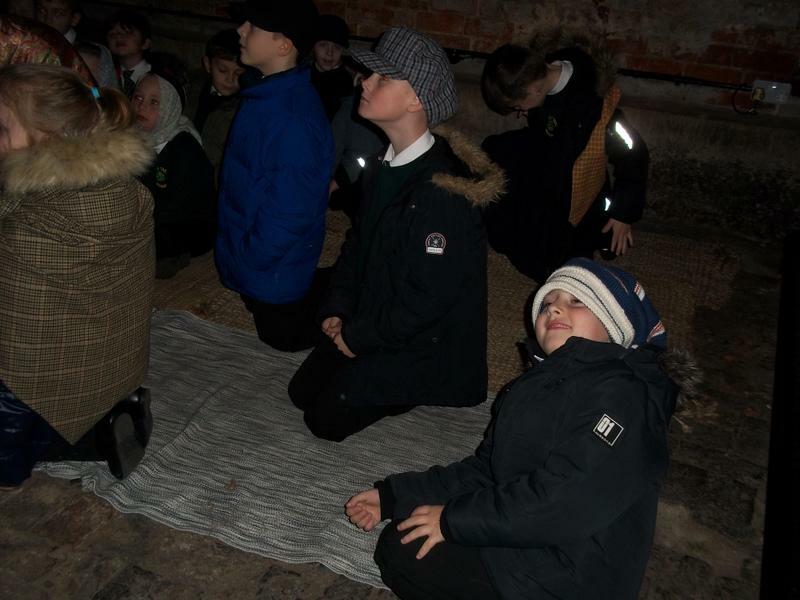 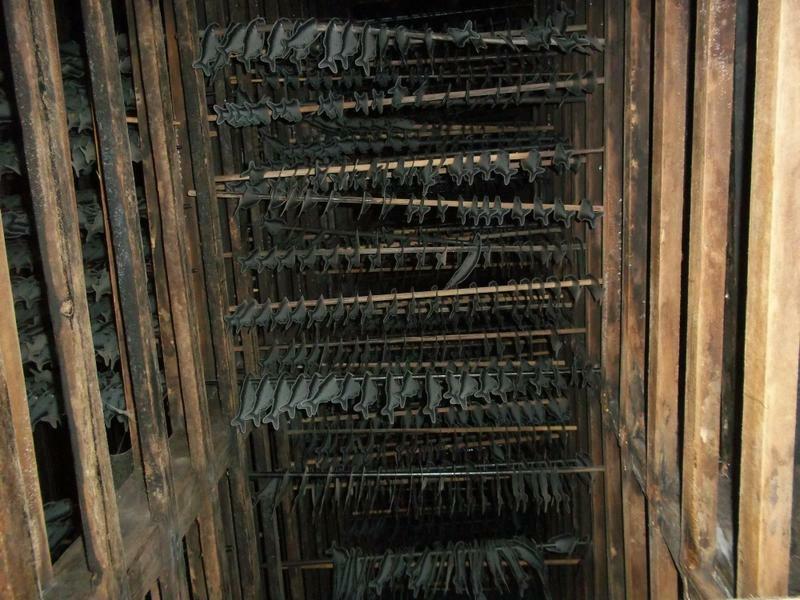 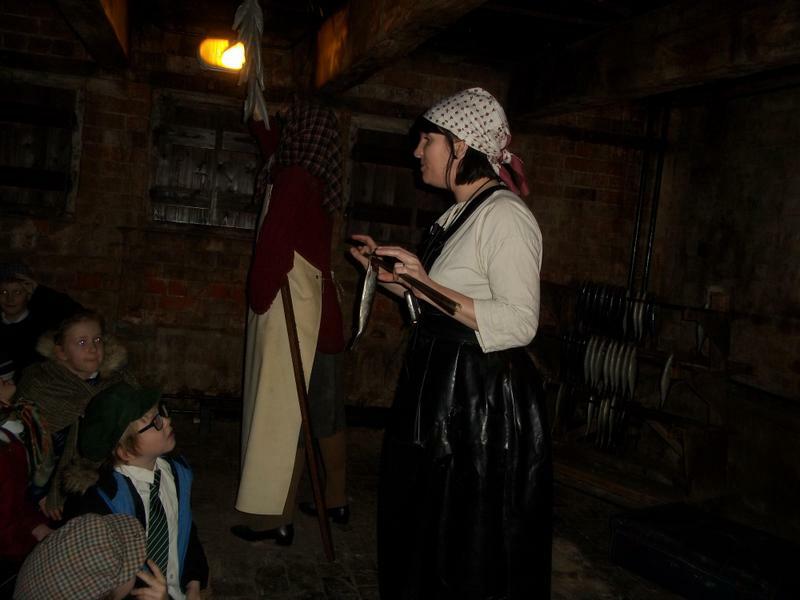 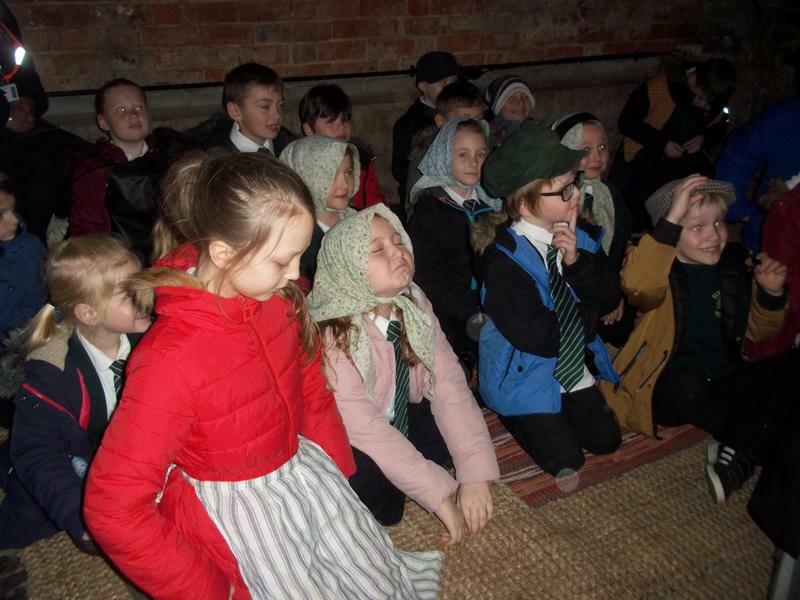 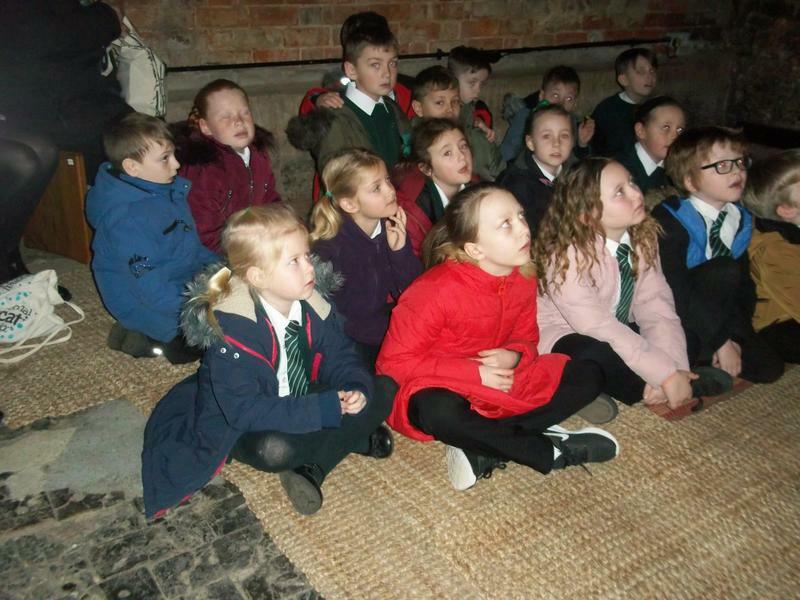 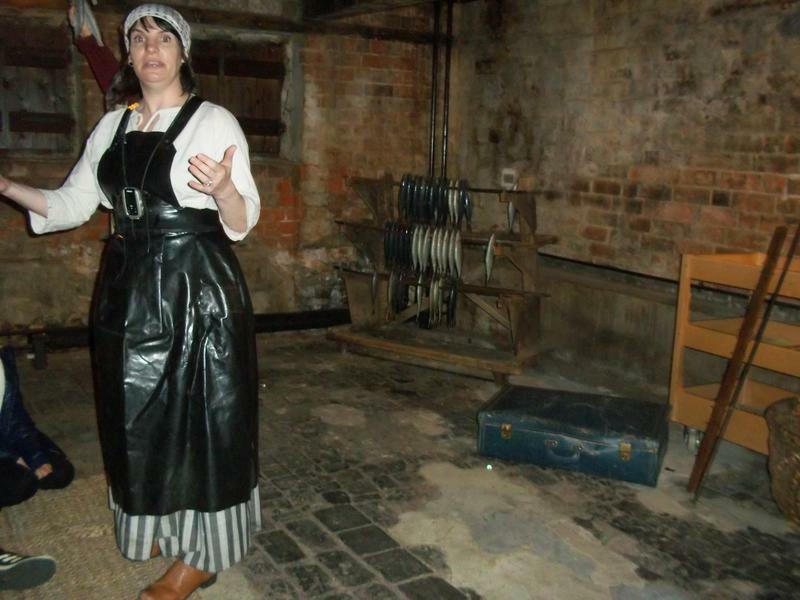 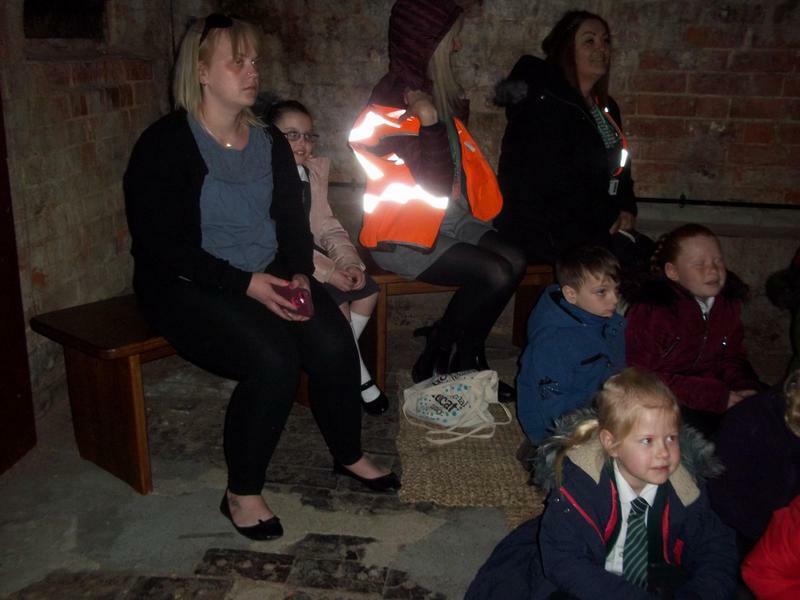 We learnt all about what happened to the herring in the smokehouse, what the fishermen wore and did at sea, and what happens at a fish auction. 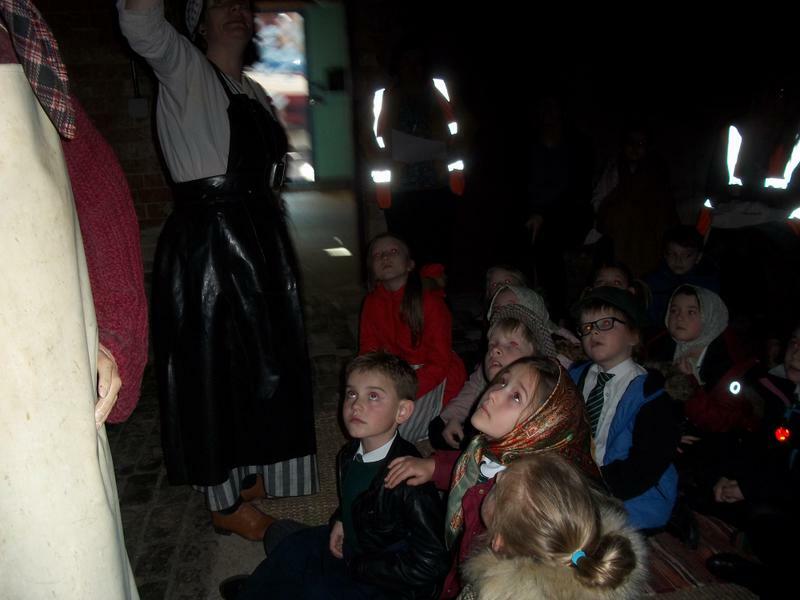 Lots of children were keen to go again with family. 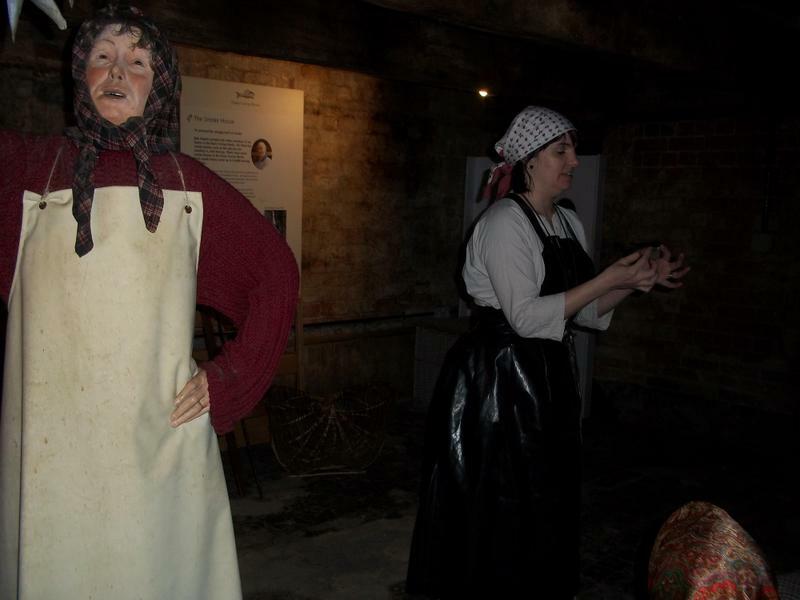 It is certainly worth a visit. 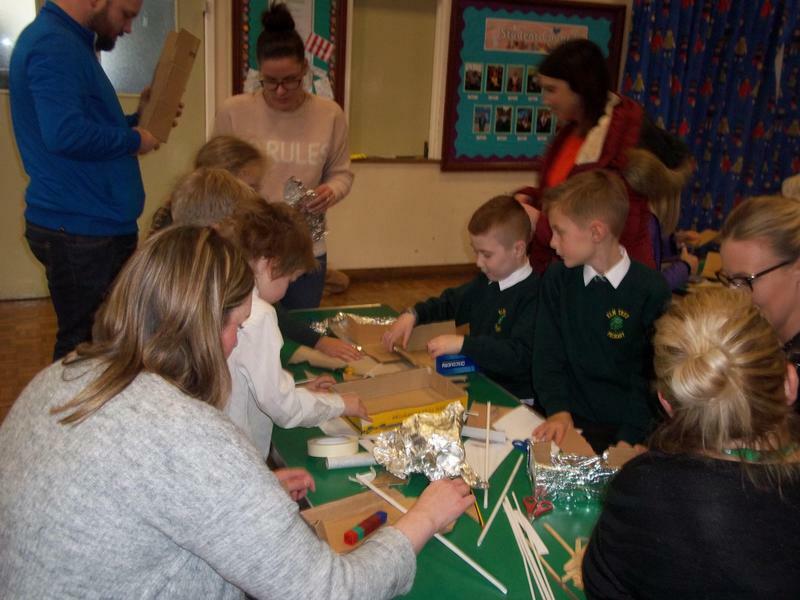 Thank you to all adults who managed to attend the Year 3 share even on Tuesday 12th February. 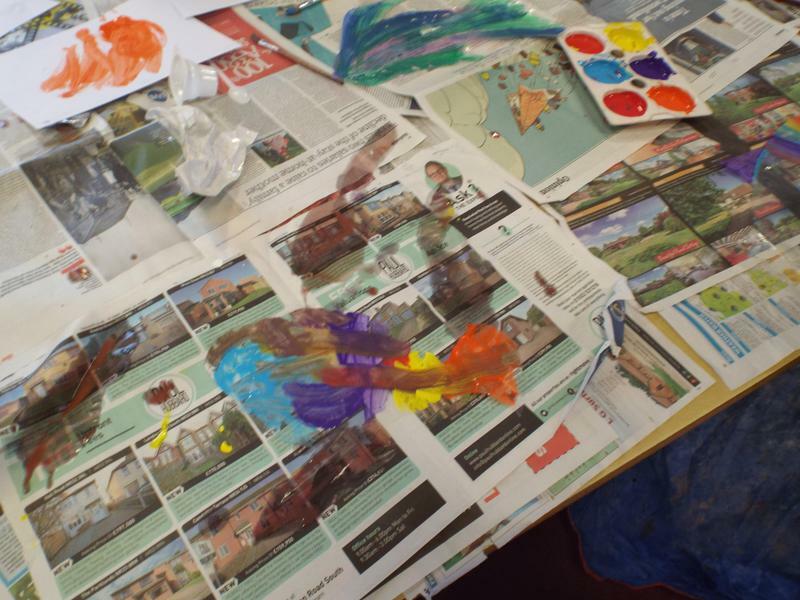 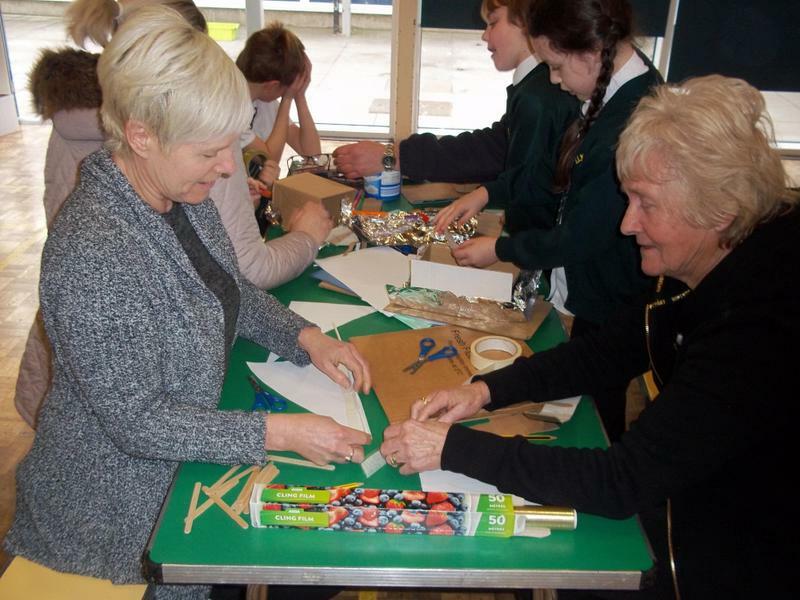 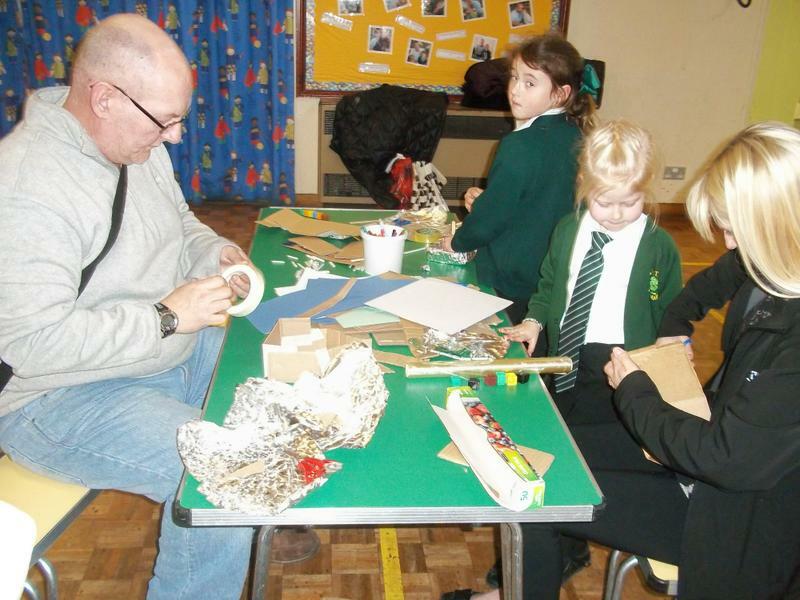 We hope you enjoyed getting creative!! 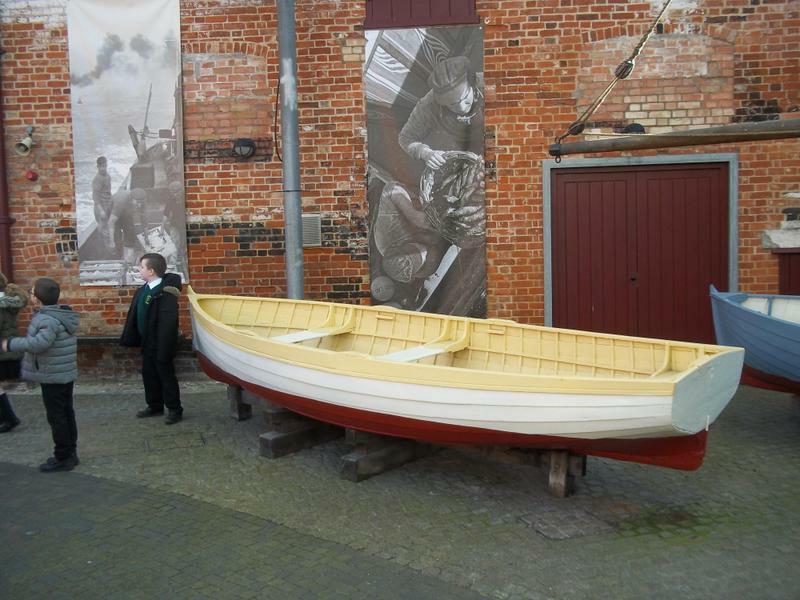 All the boats were amazing and luckily most of them floated. 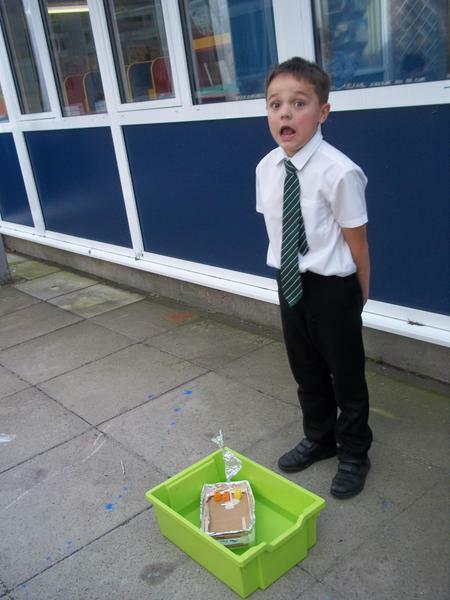 Below are some photos of the day. 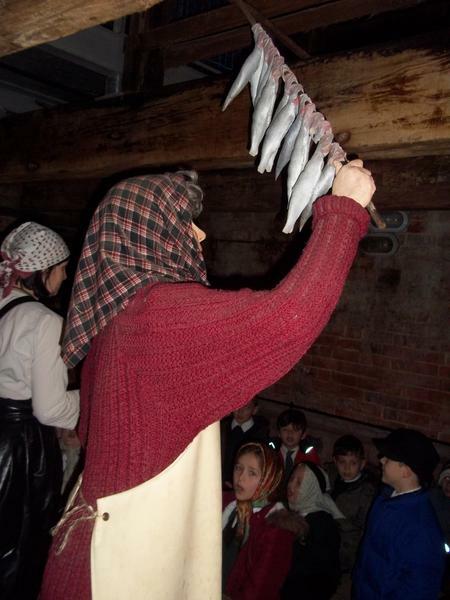 What a fishy old day! 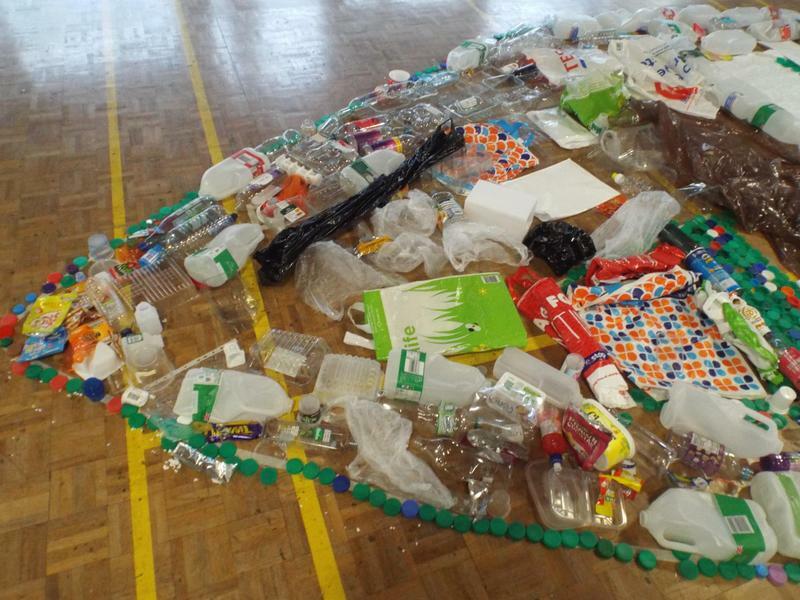 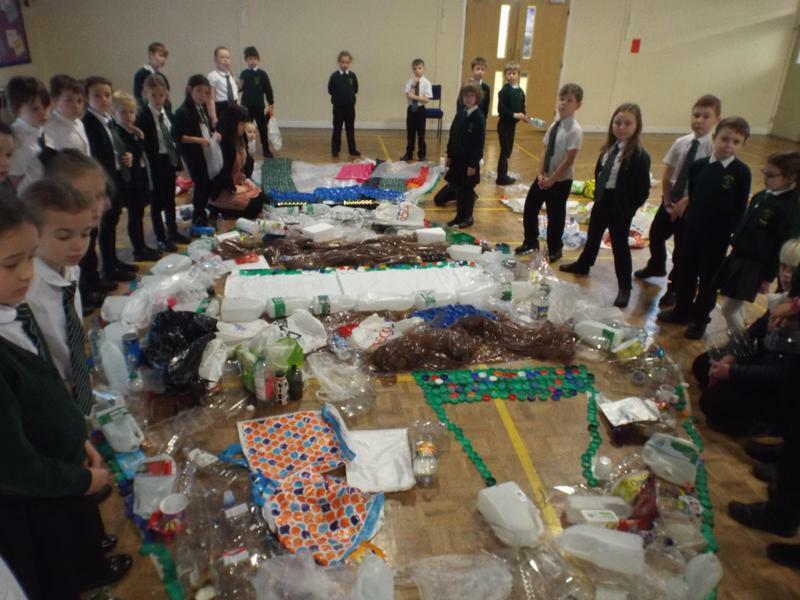 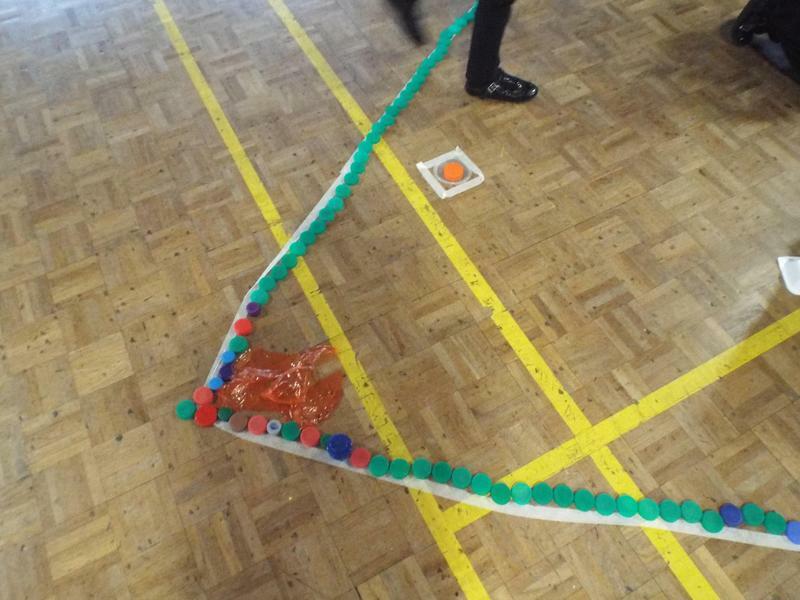 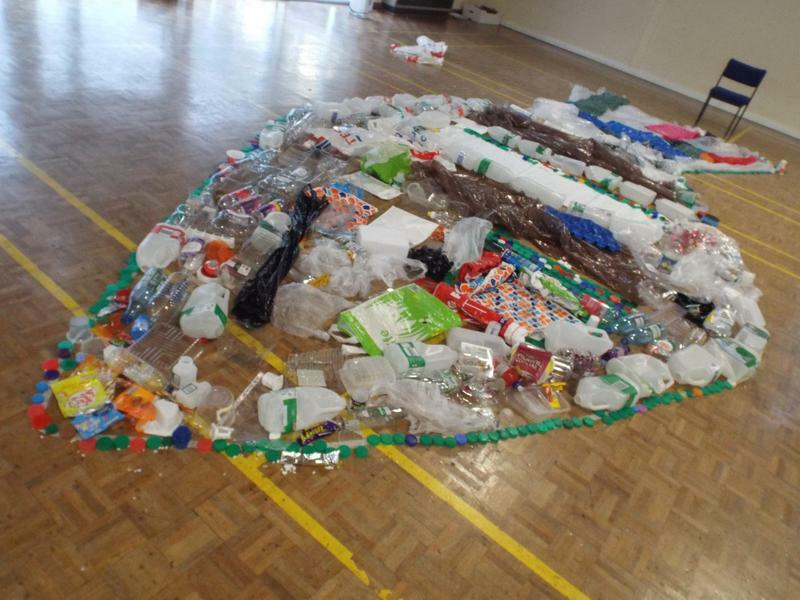 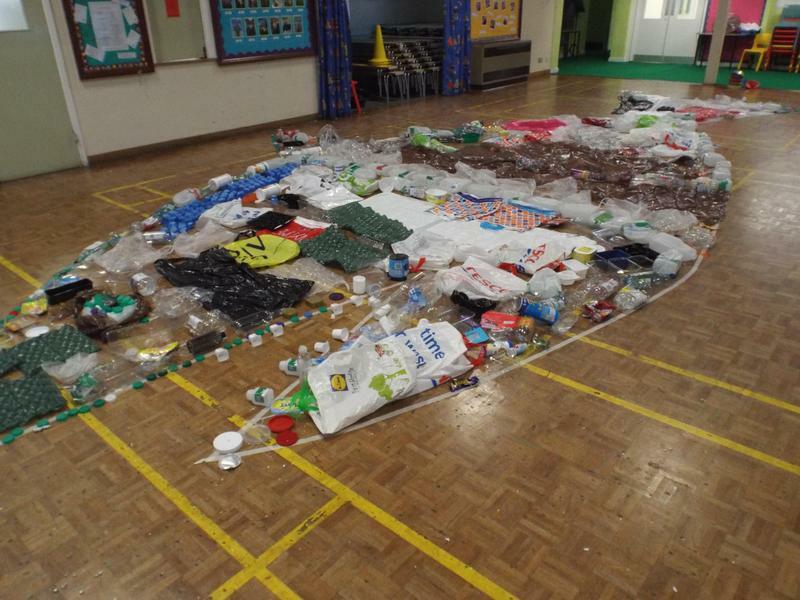 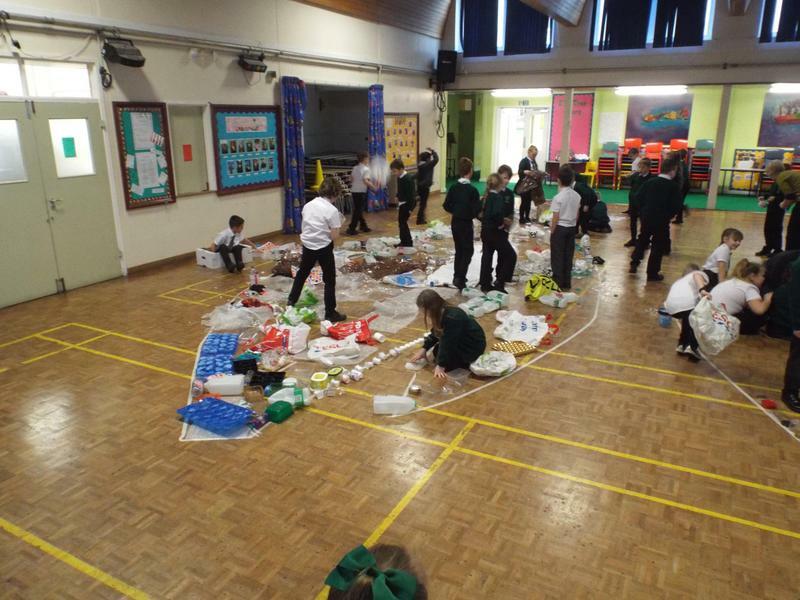 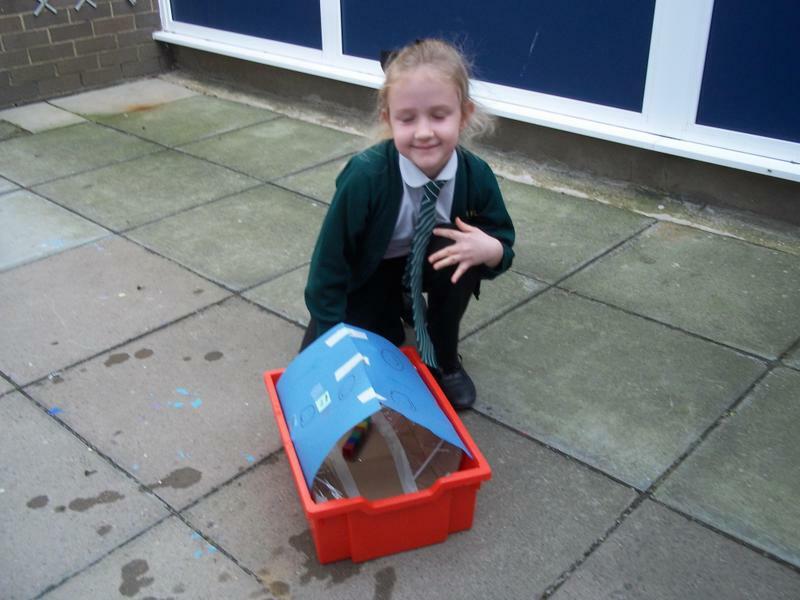 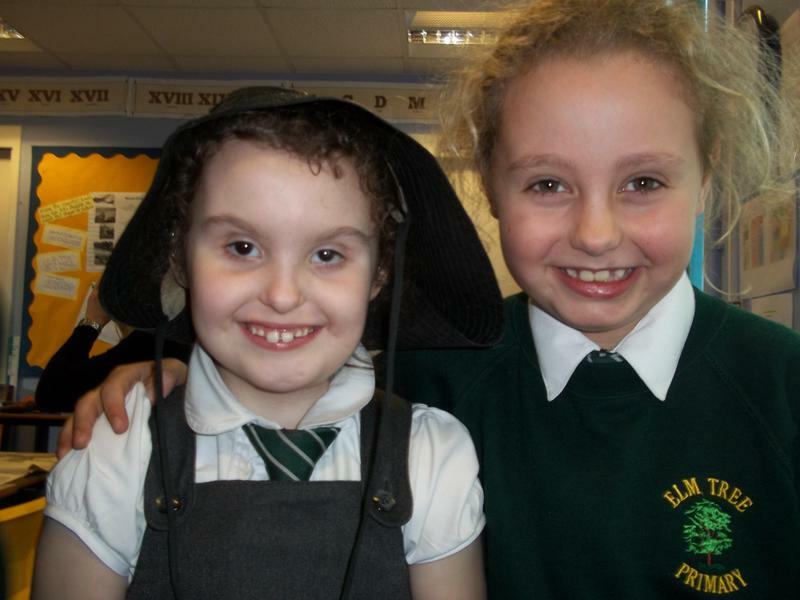 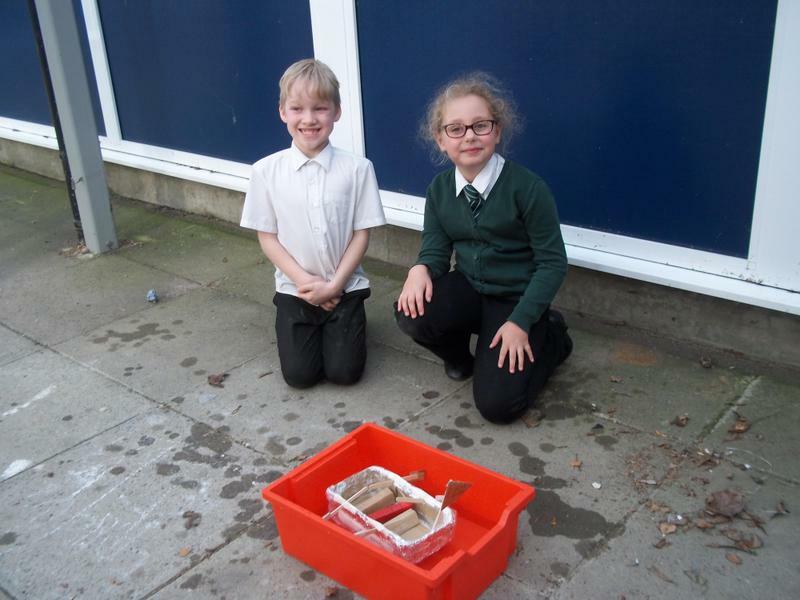 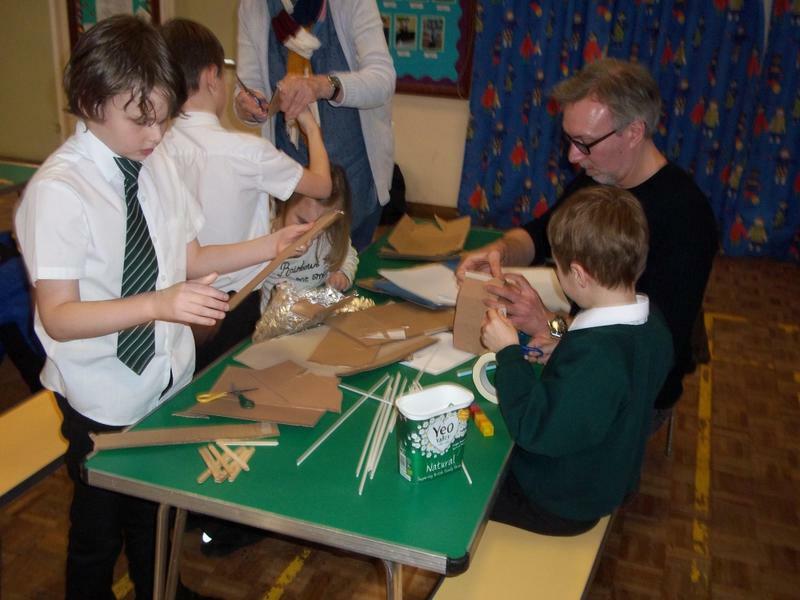 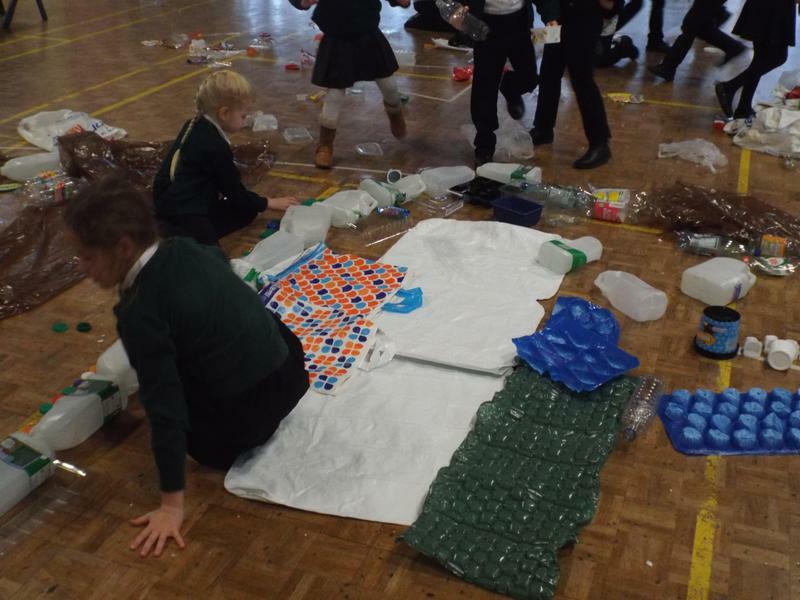 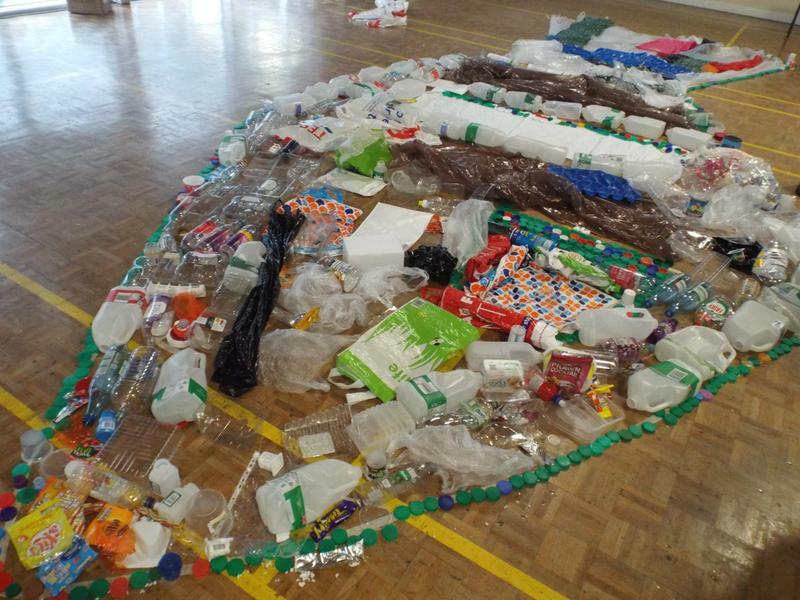 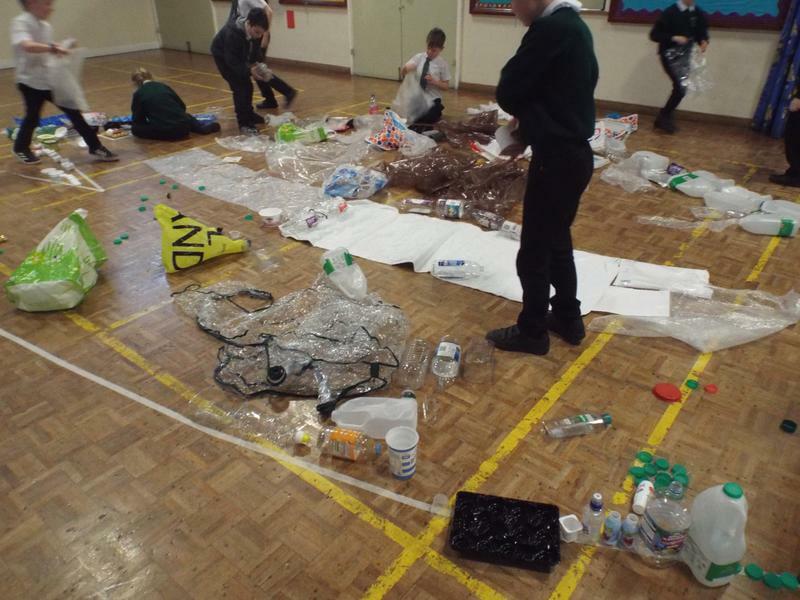 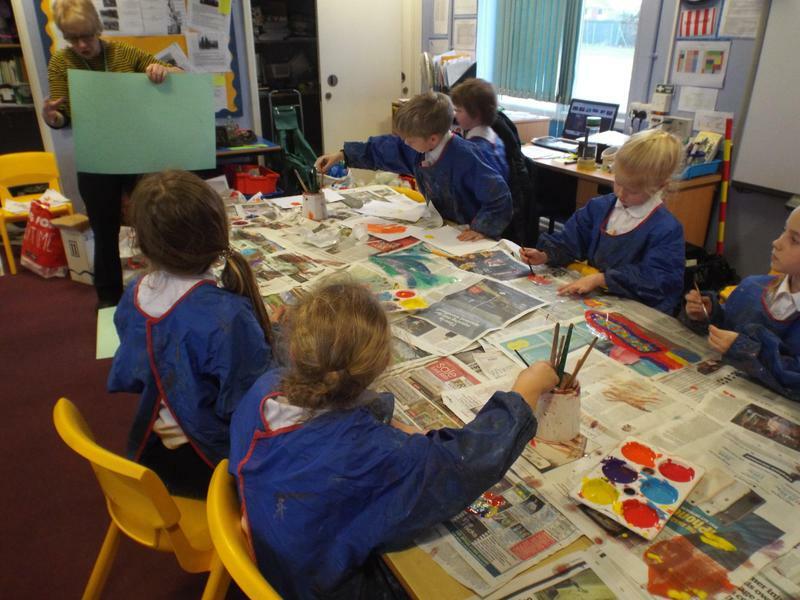 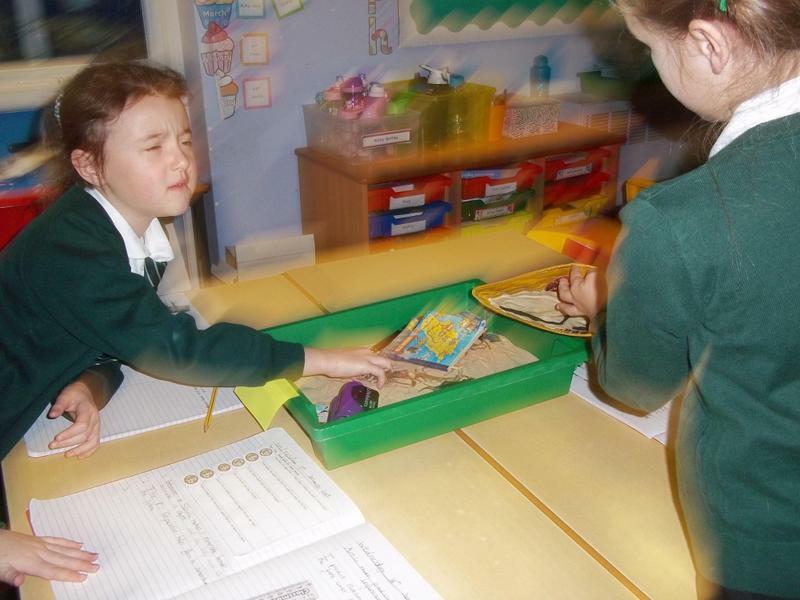 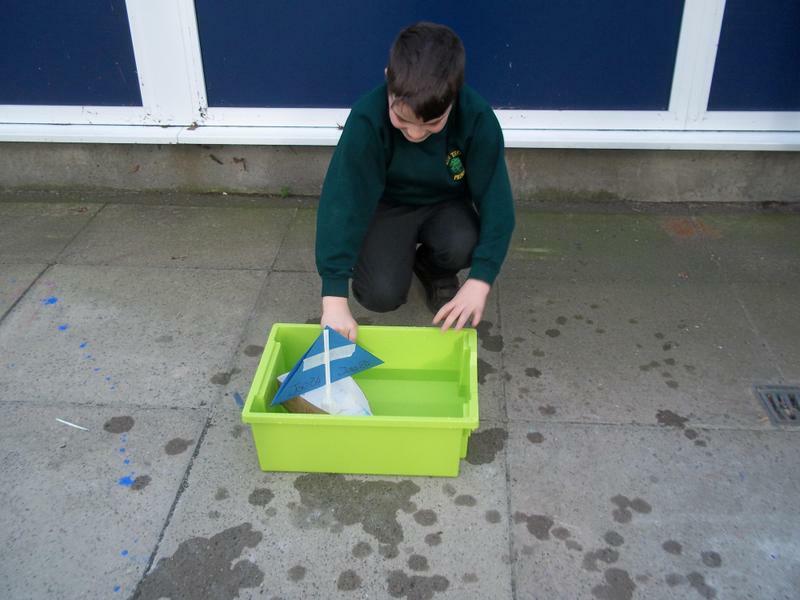 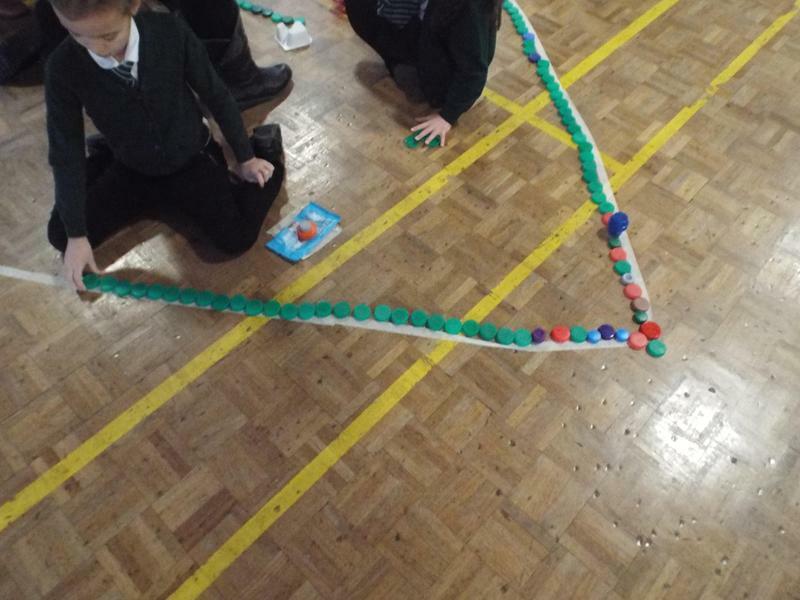 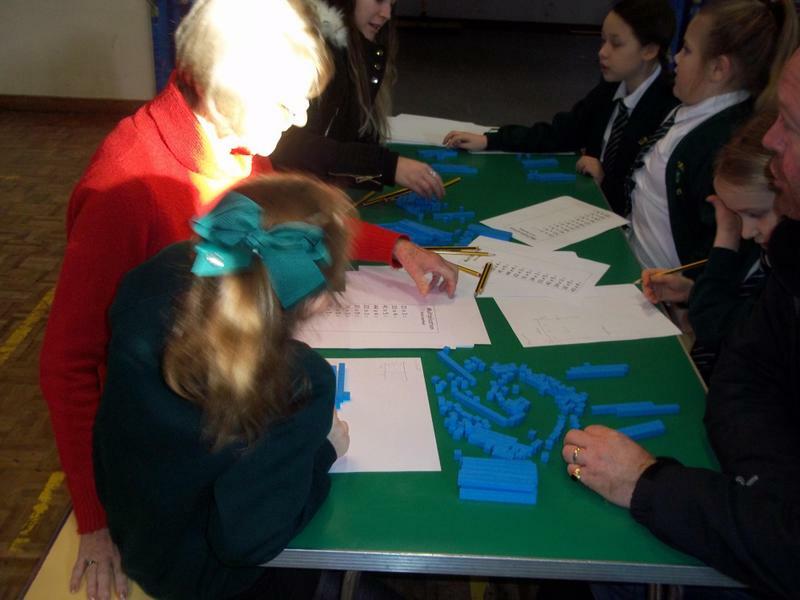 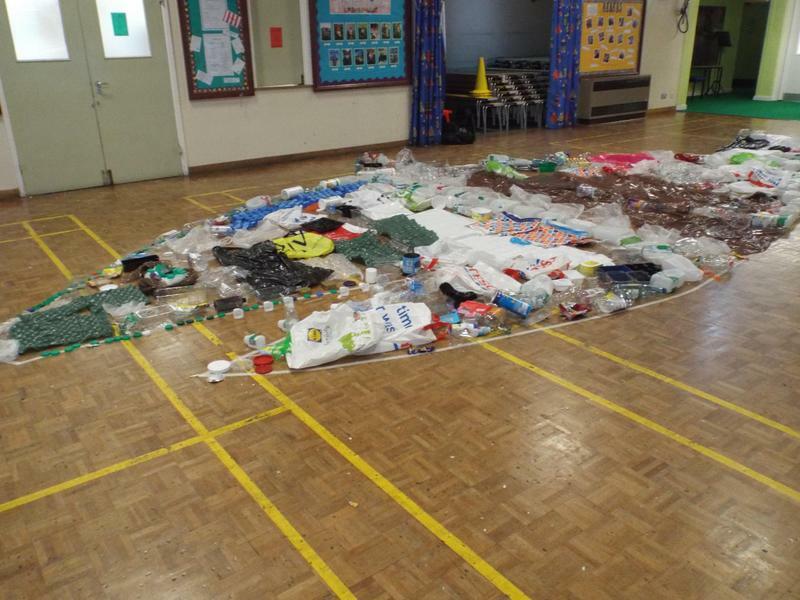 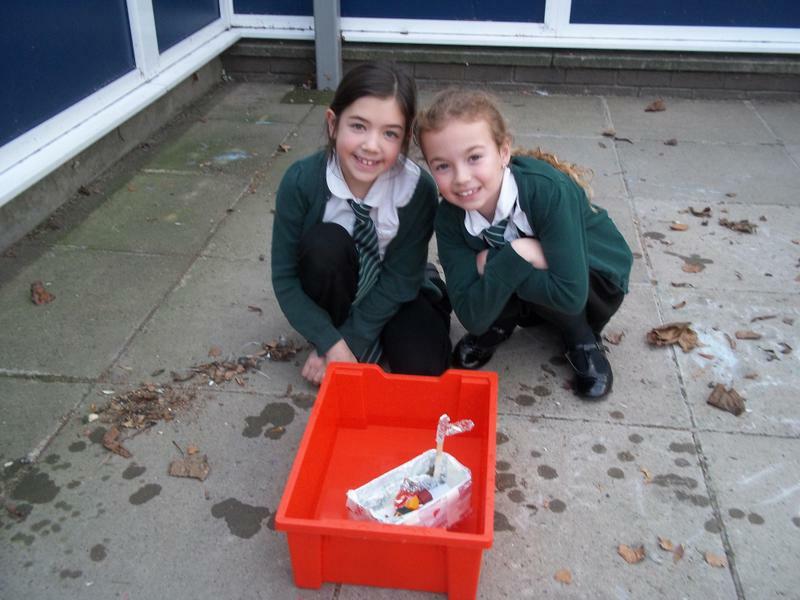 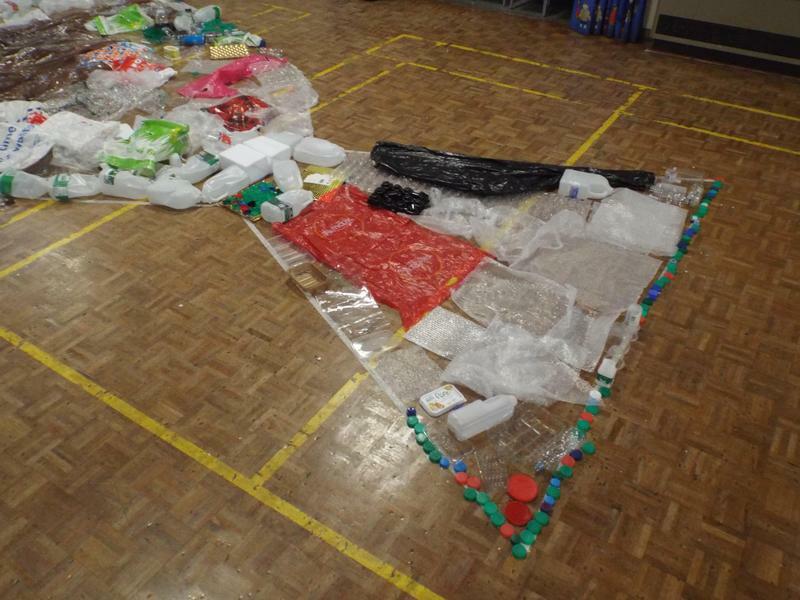 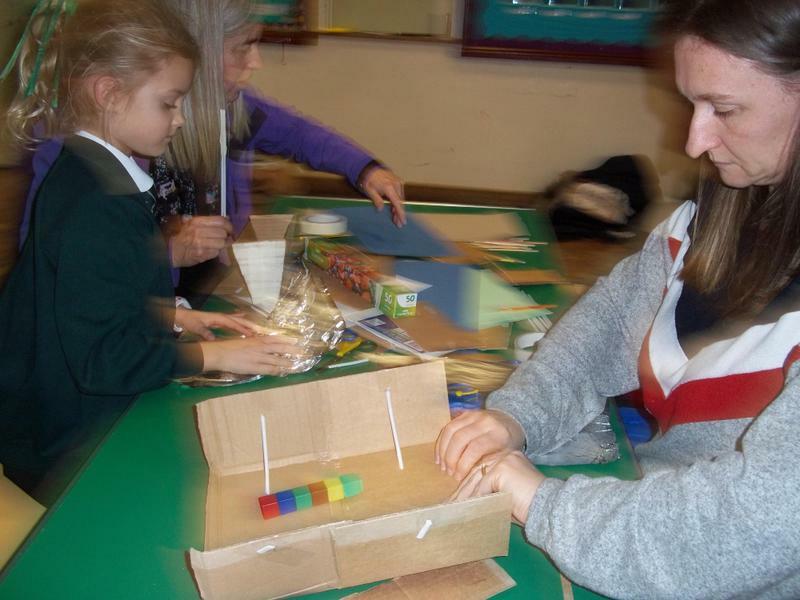 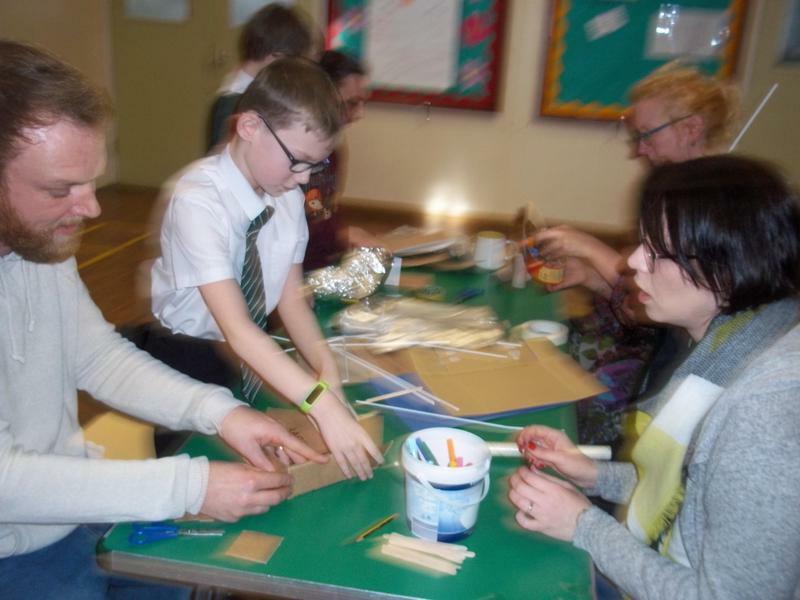 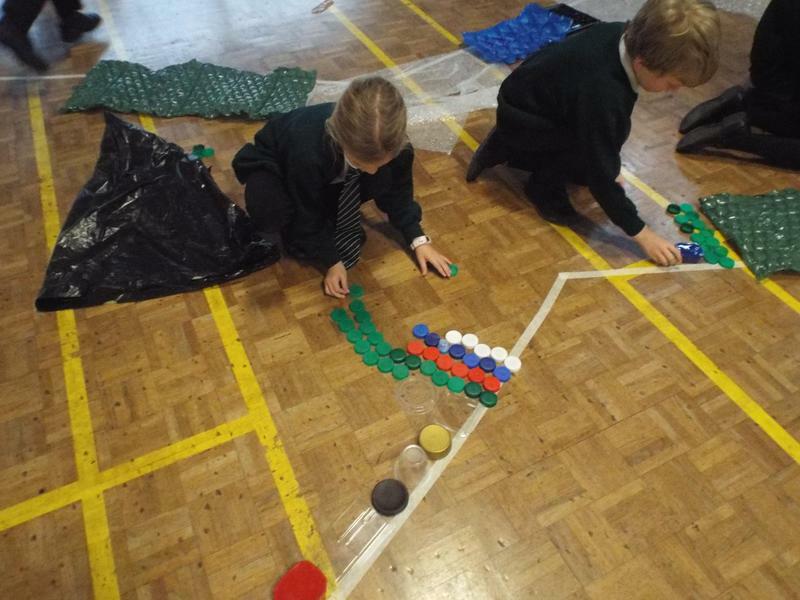 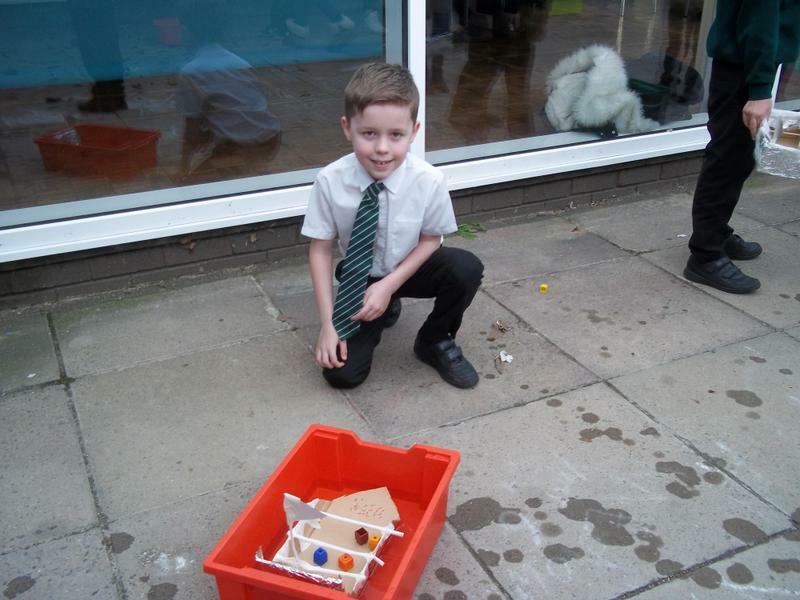 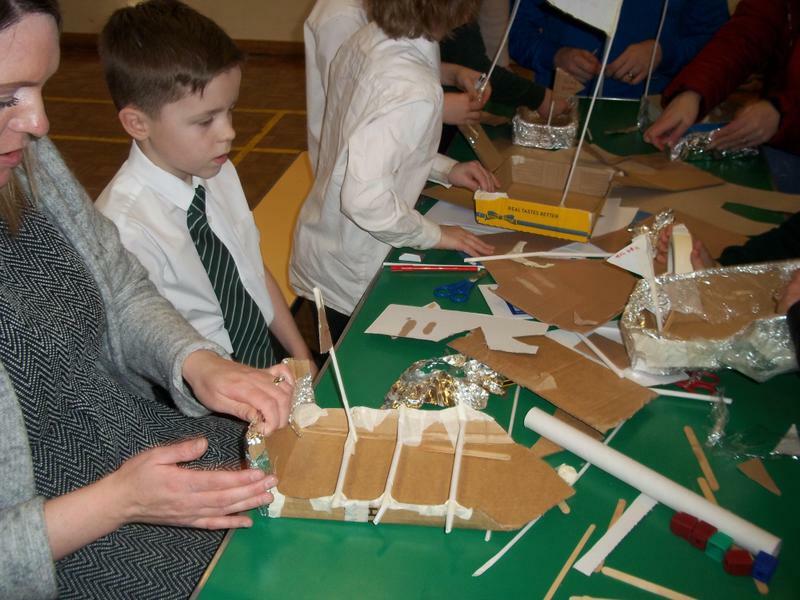 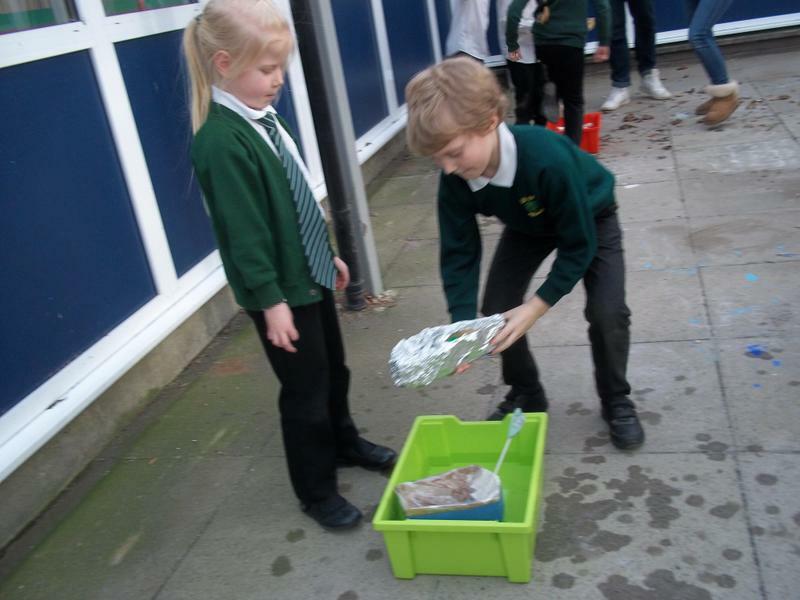 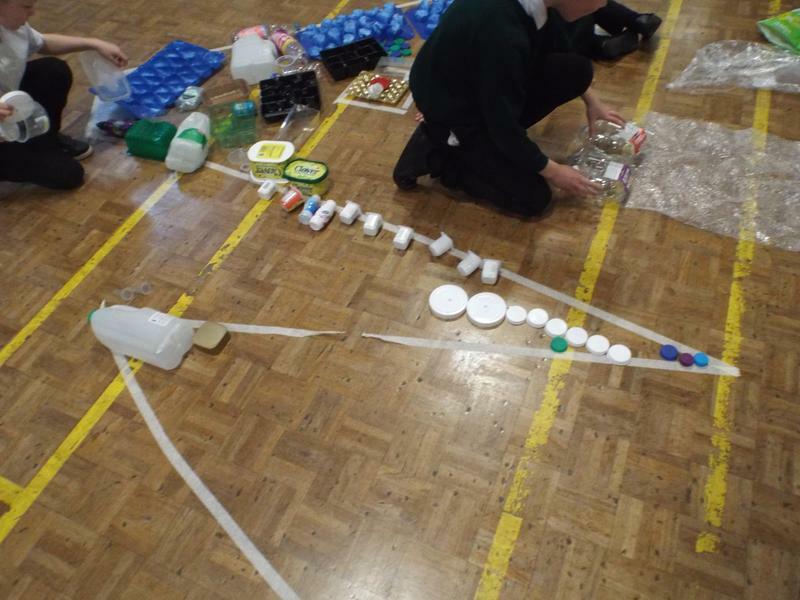 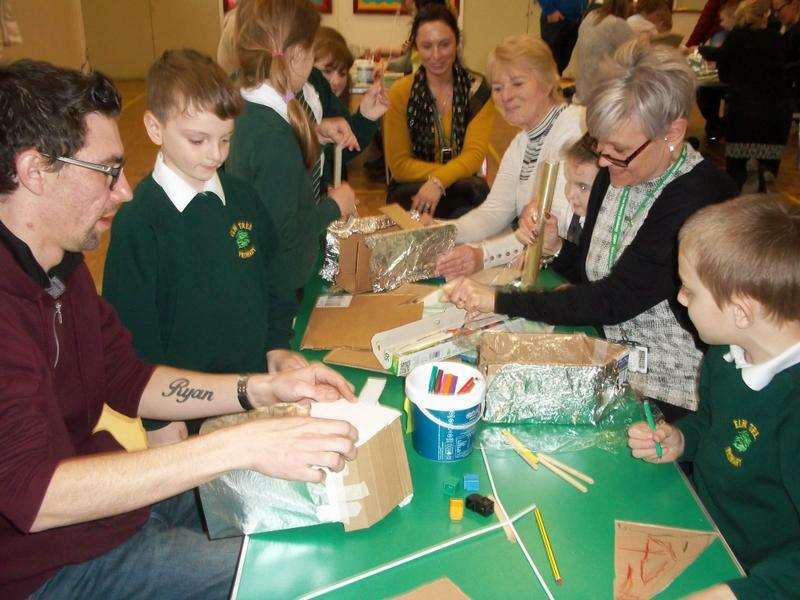 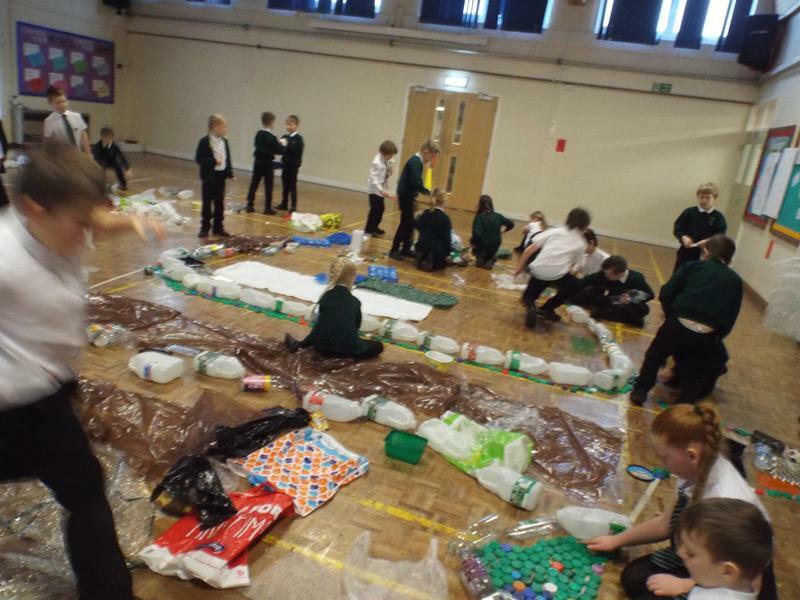 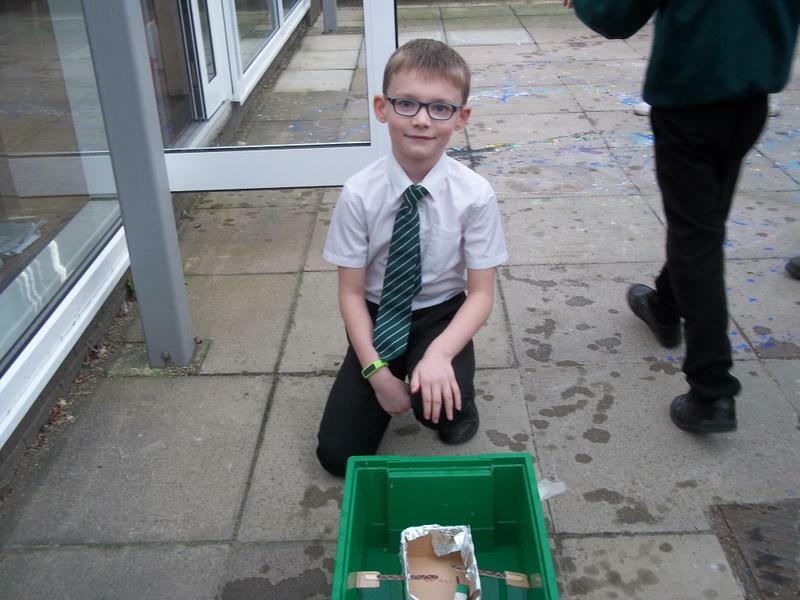 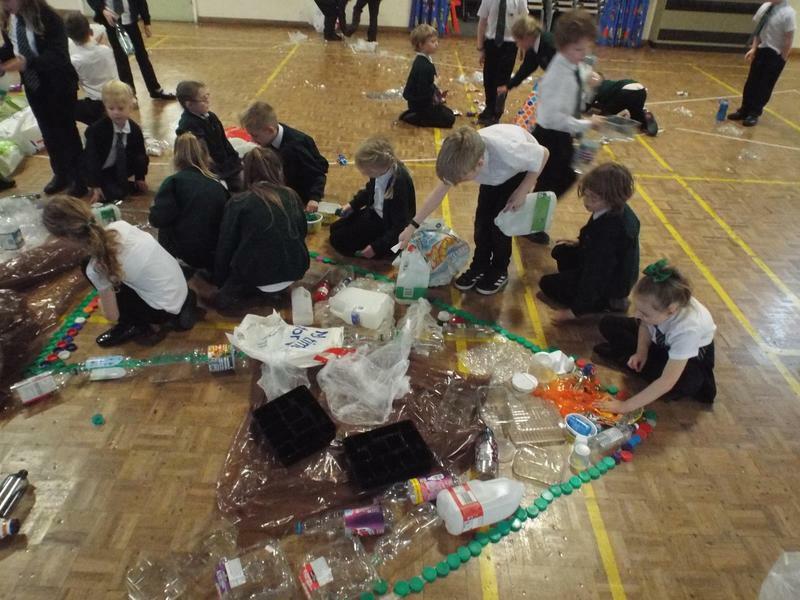 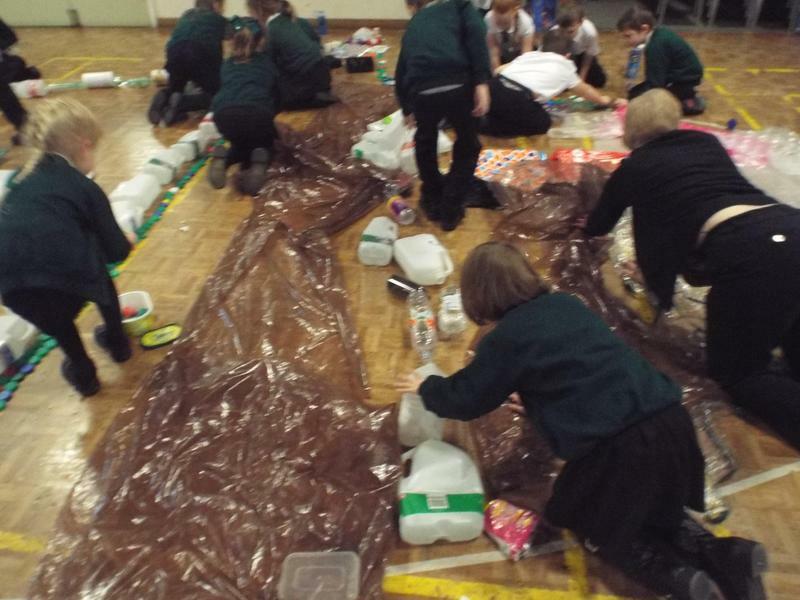 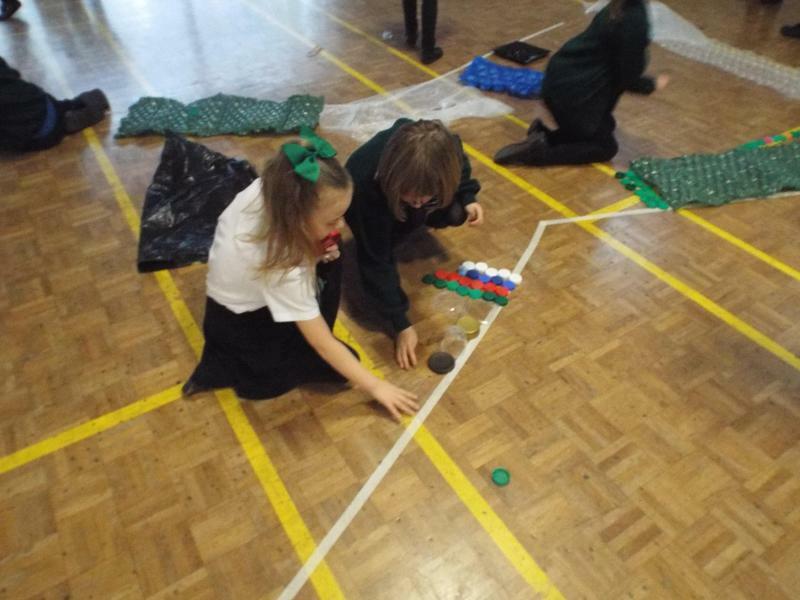 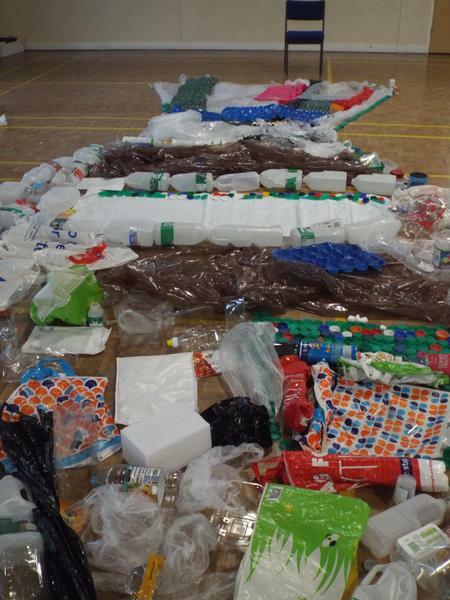 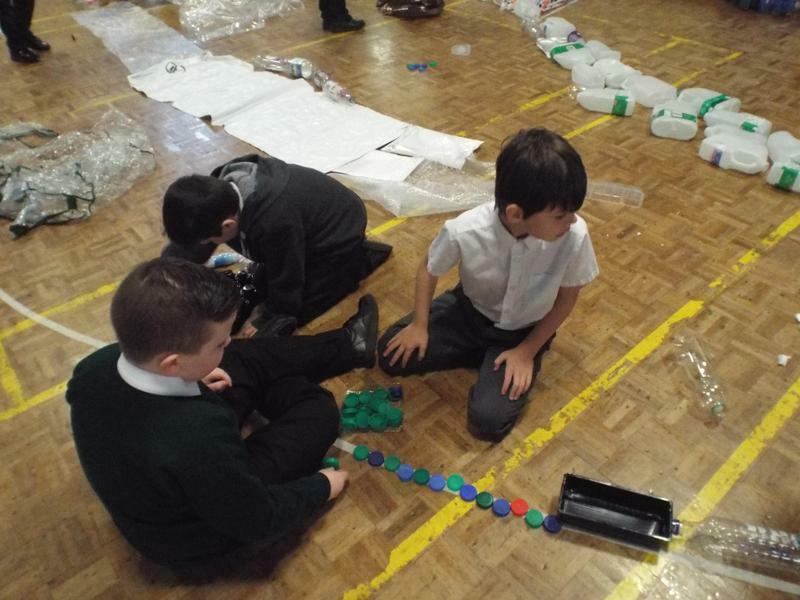 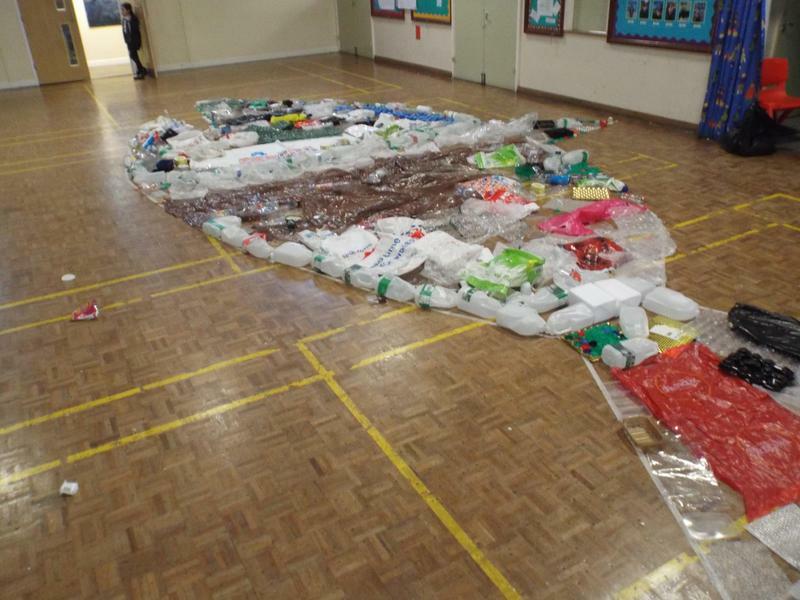 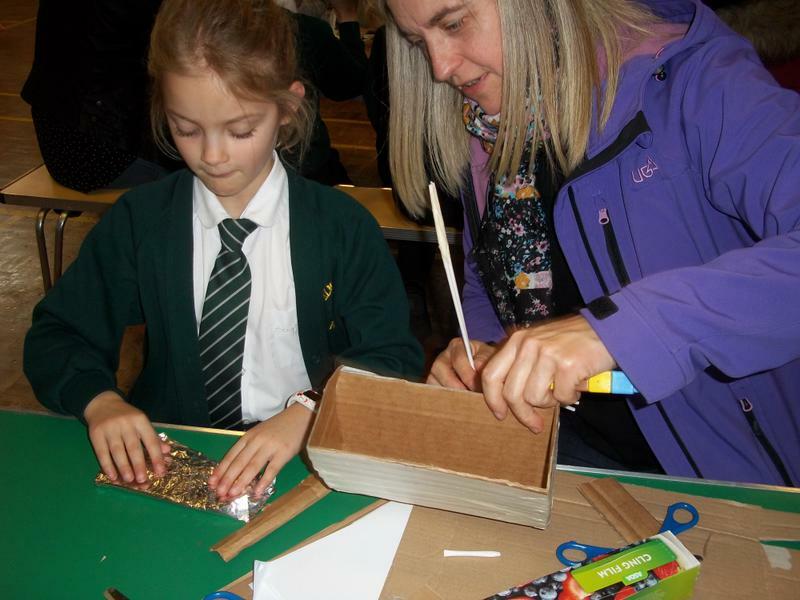 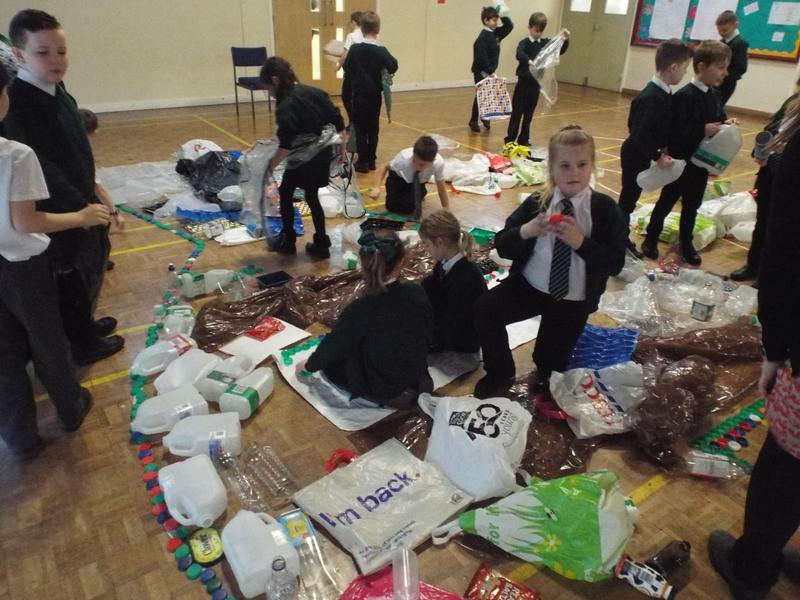 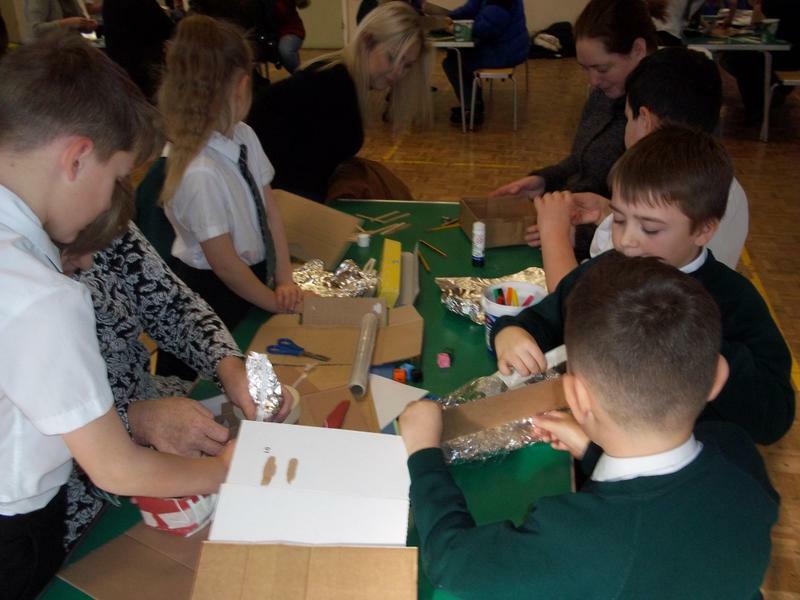 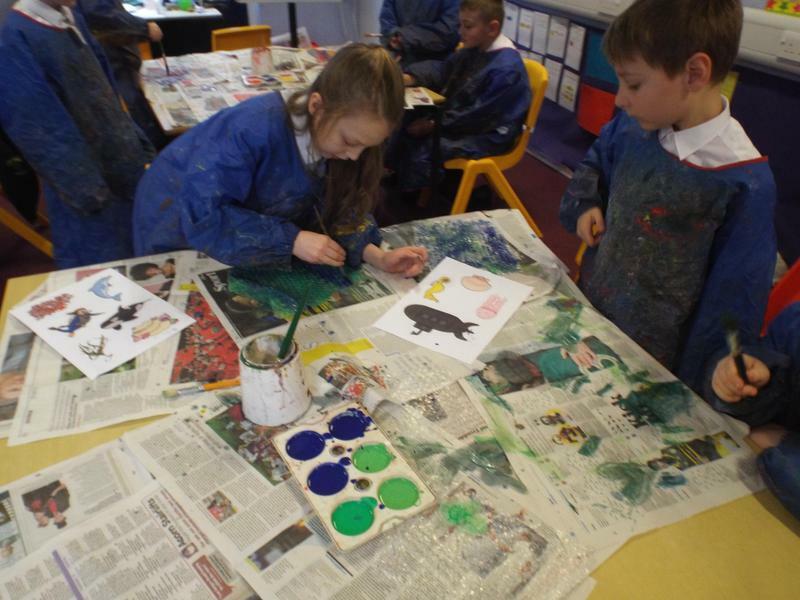 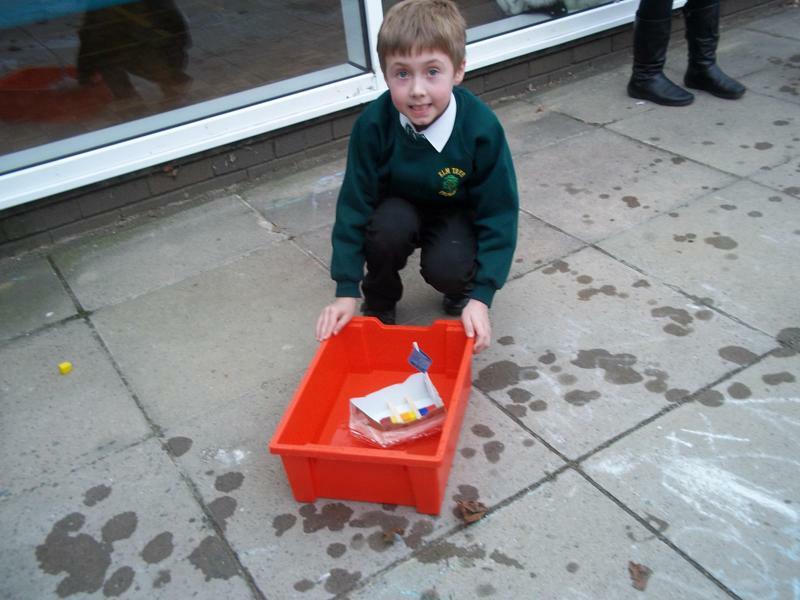 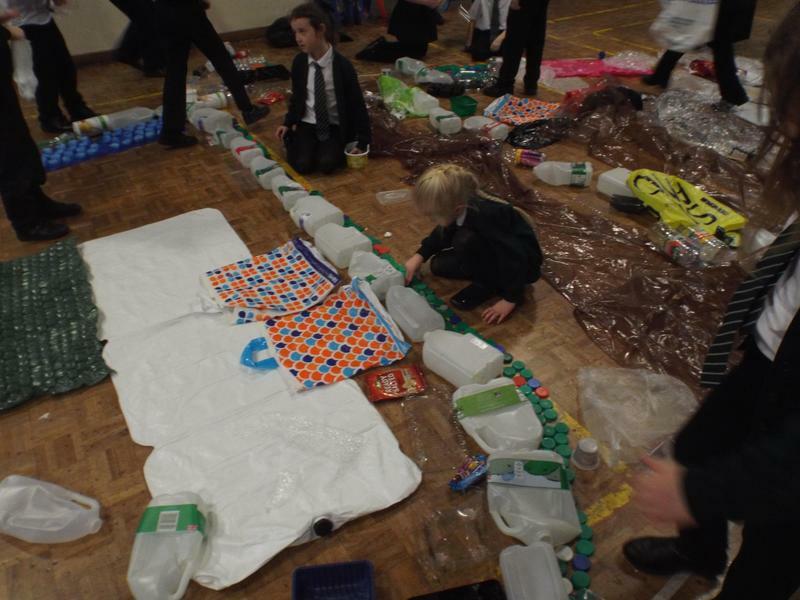 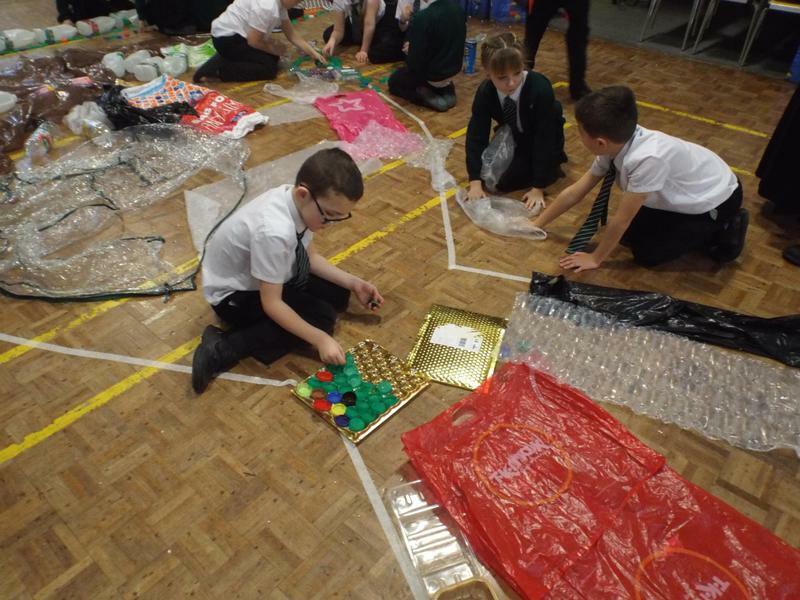 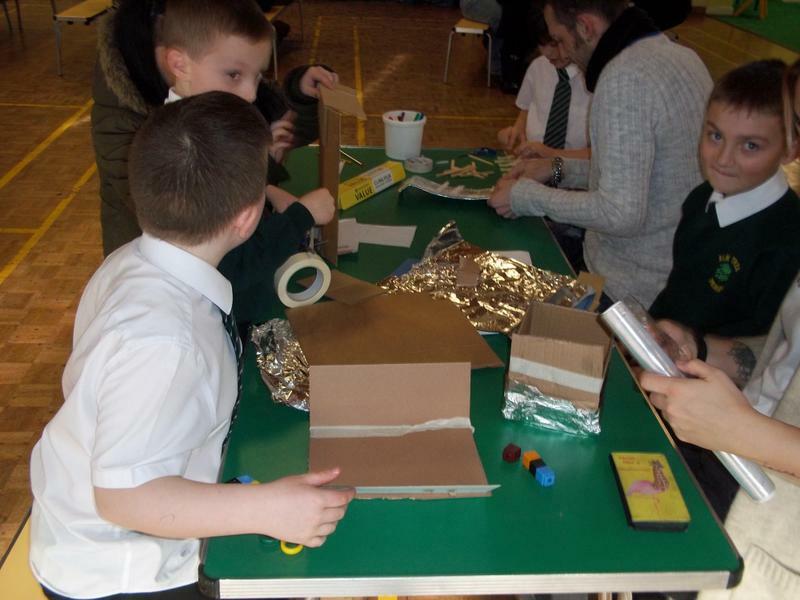 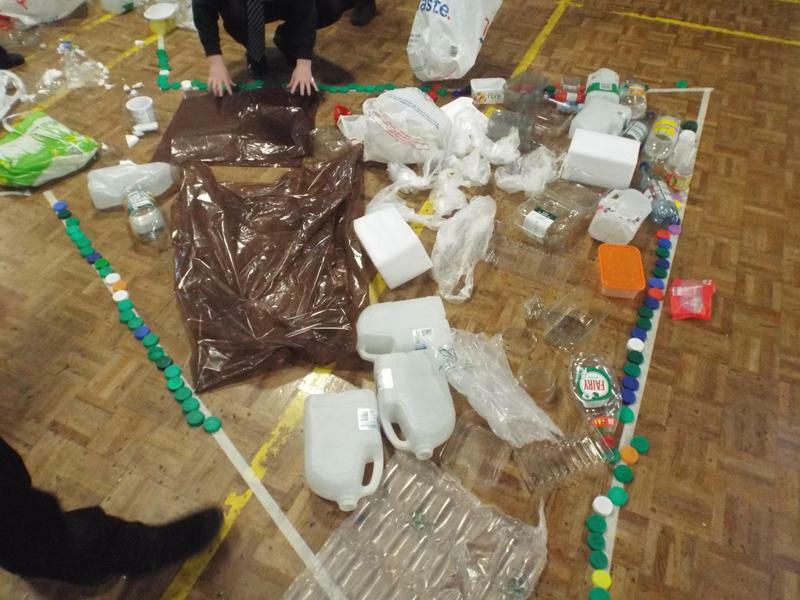 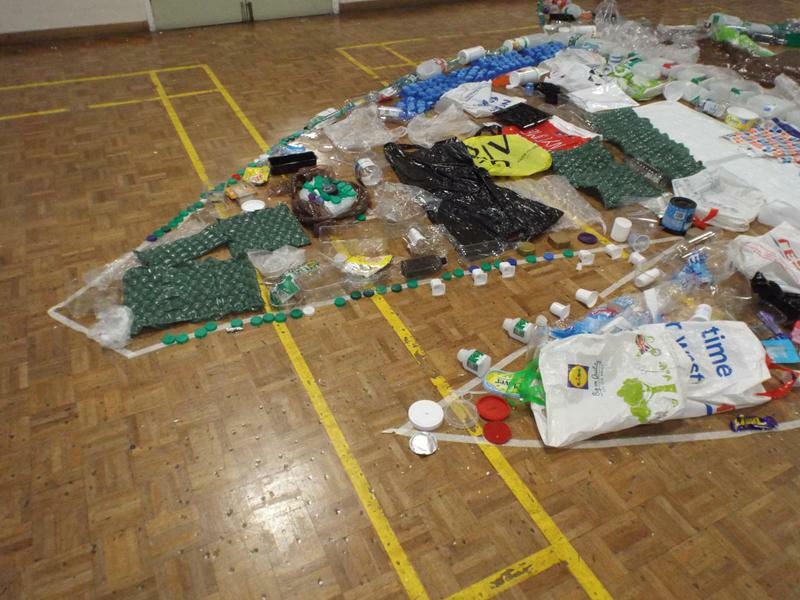 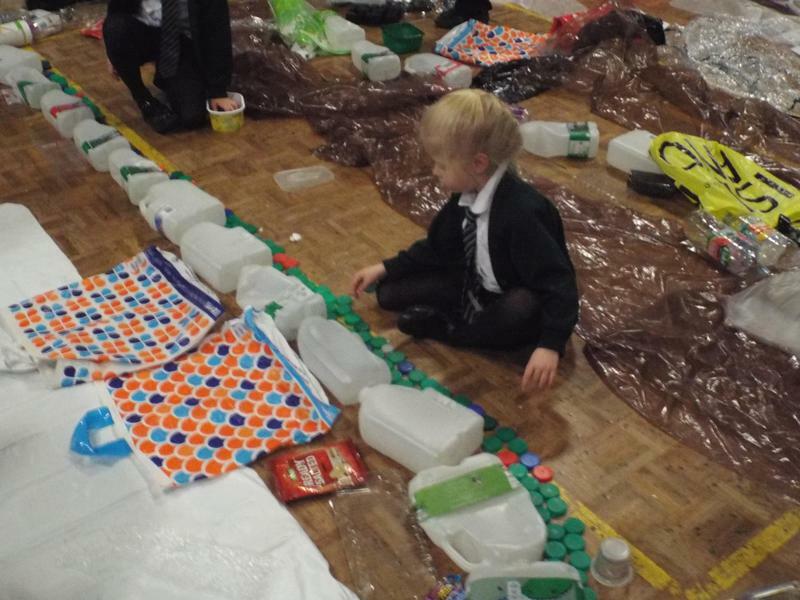 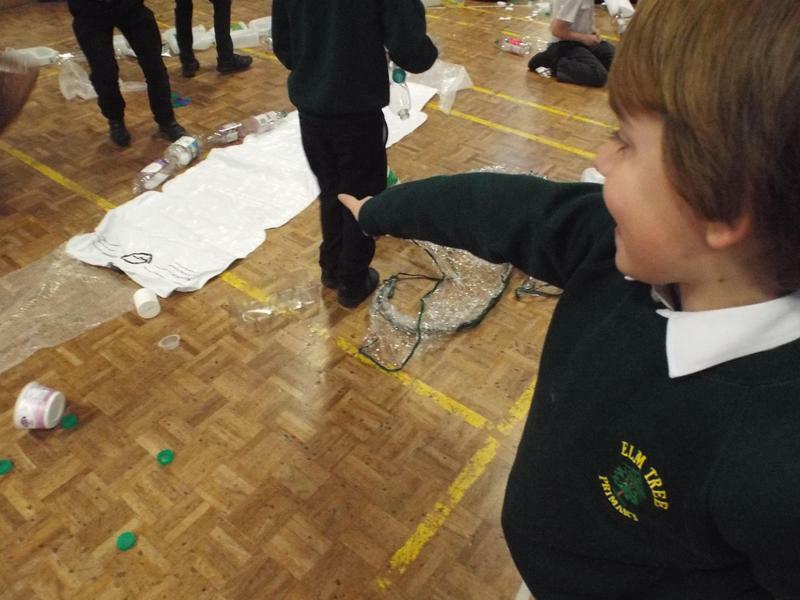 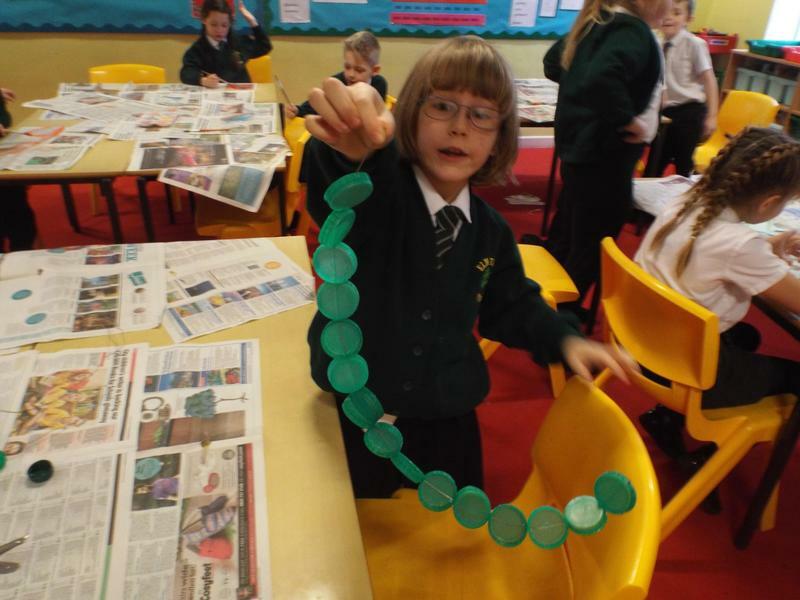 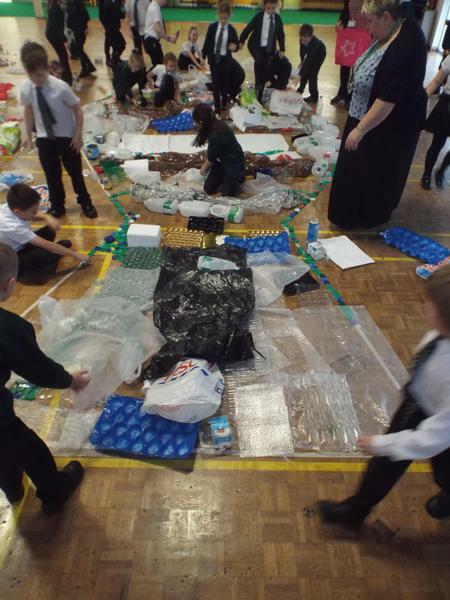 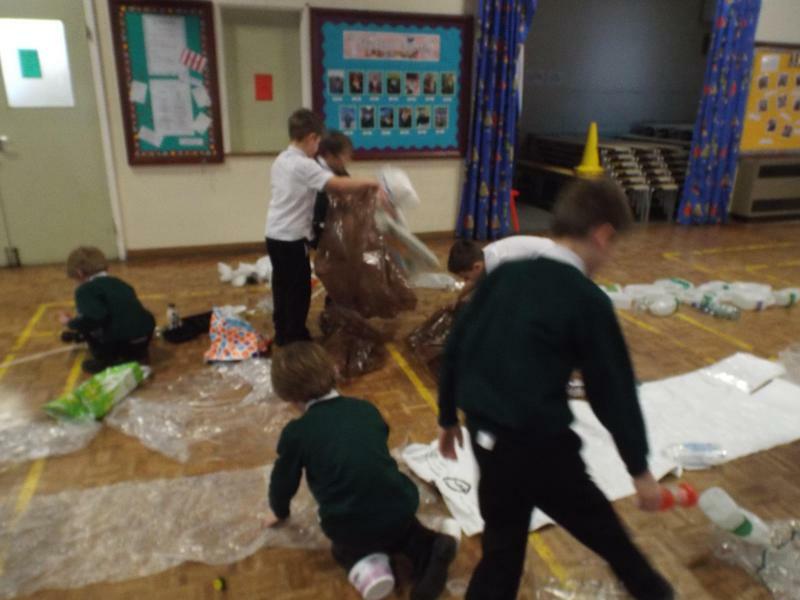 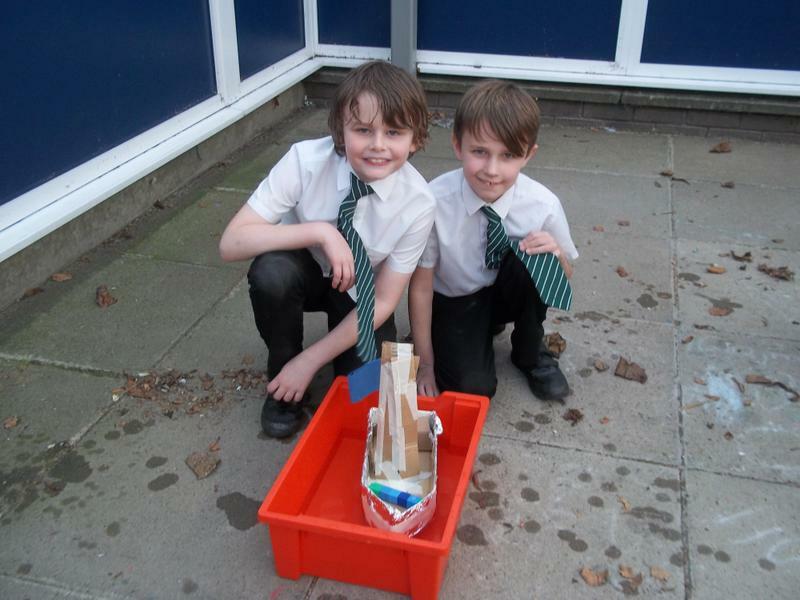 On Friday February 8th, the year three children explored the world of plastics. 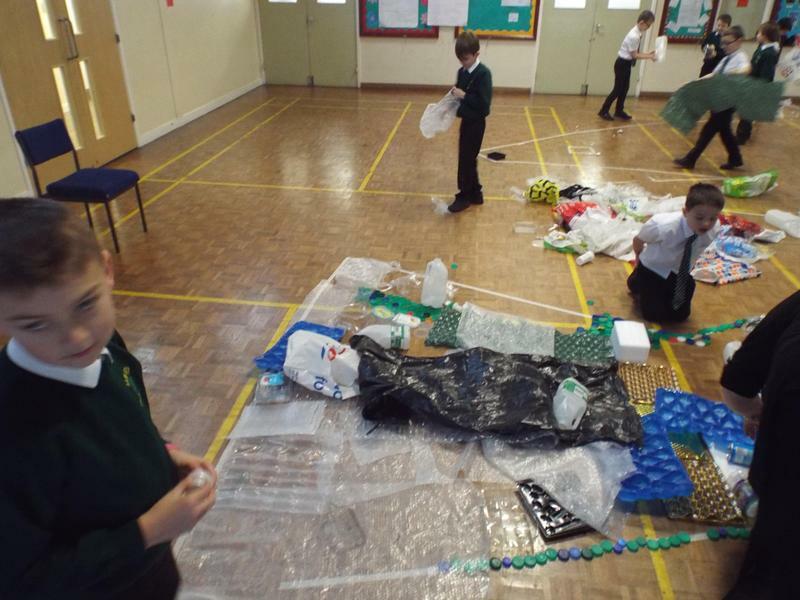 They began by learning about the history of plastic and how it was first created. 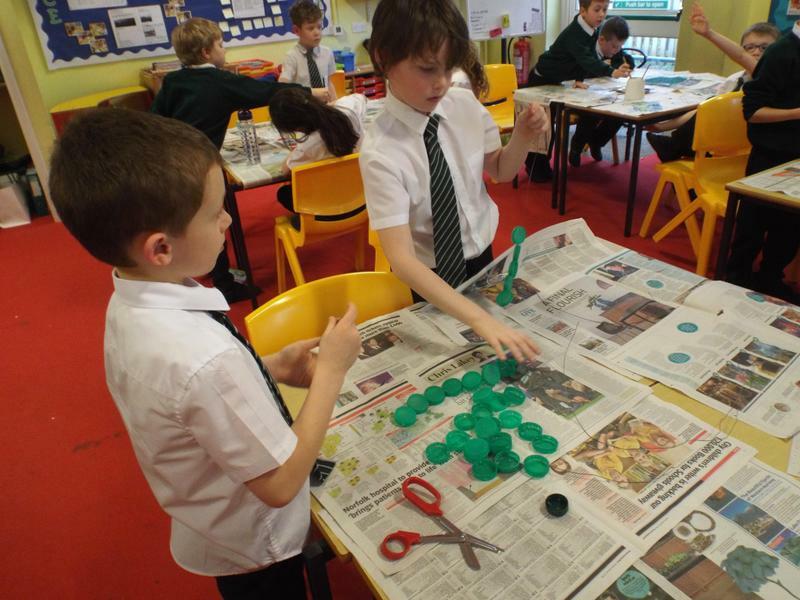 They learnt that it is not a very sustainable product as it is often made using non-renewable resources. 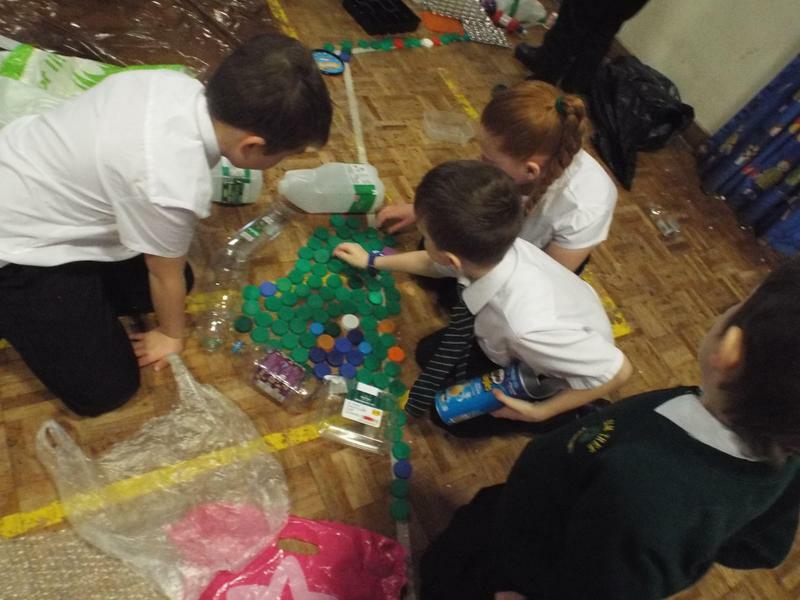 The children explored how plastic can be a very useful product but at the same time it is often used unnecessarily and many plastics are only used once before being thrown away. 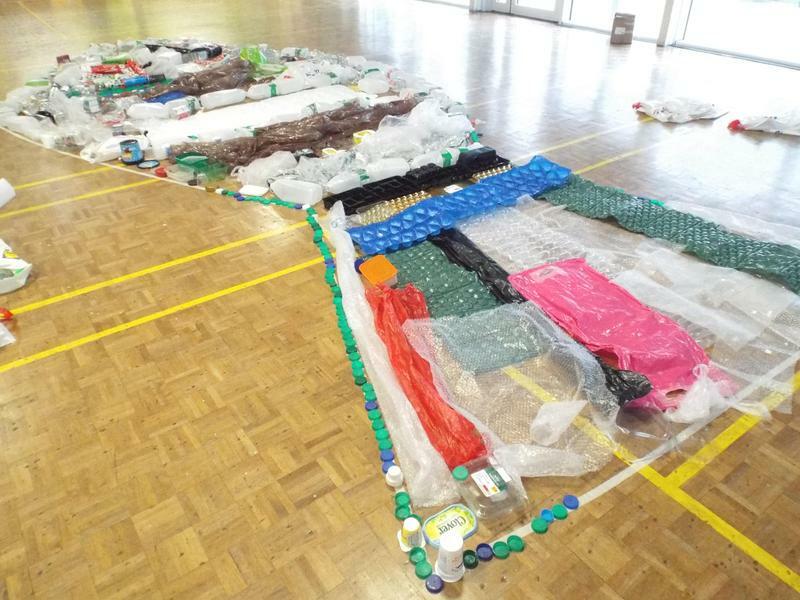 This plastic is then finding its way into the environment where it is posing a danger to wildlife. 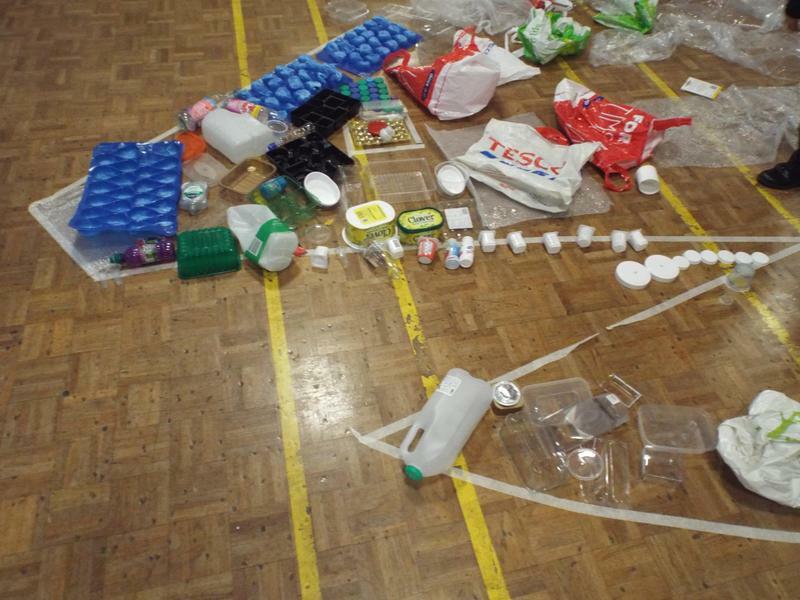 The children explored their collected plastics and were surprised by how many products they used on a daily basis that comes with plastic packaging. 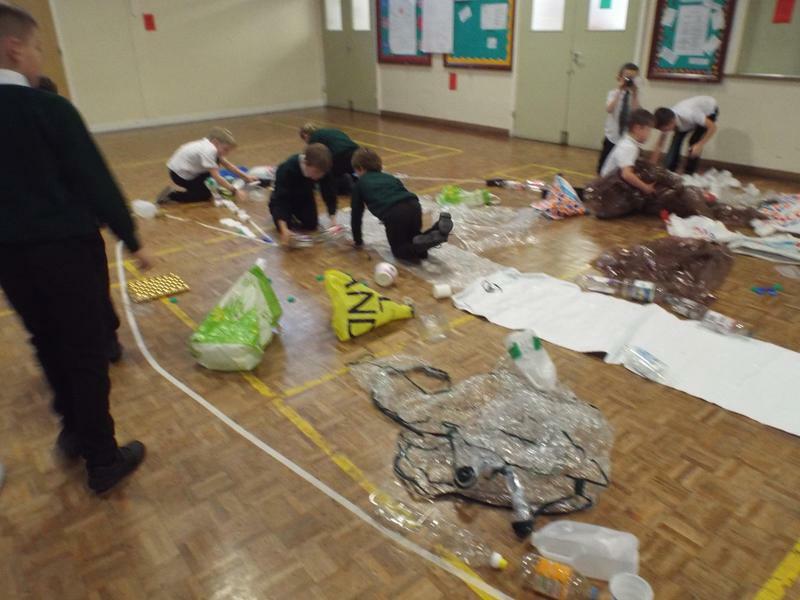 The children also found out that unlike some other products, plastic takes thousands of years to break down and therefore causes much more pollution to the environment. 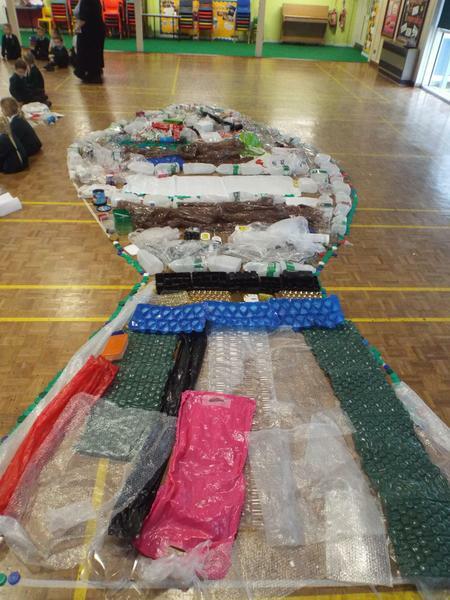 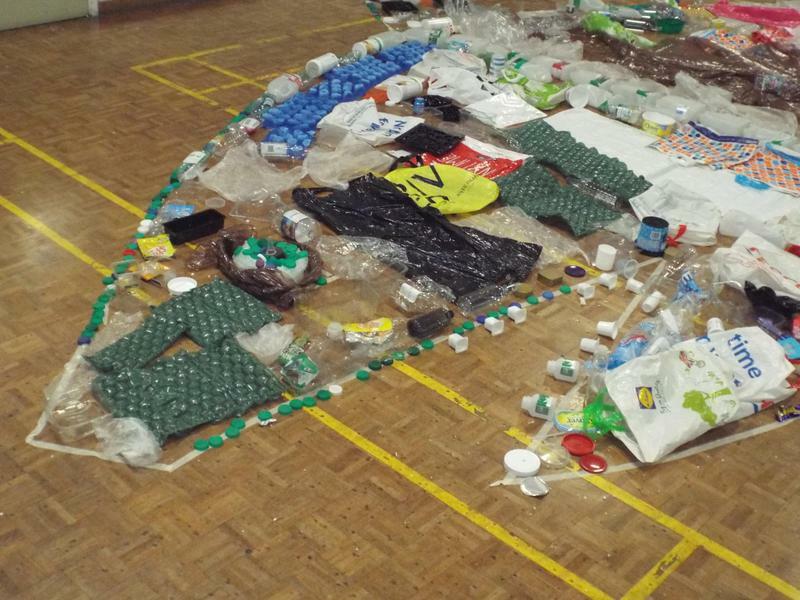 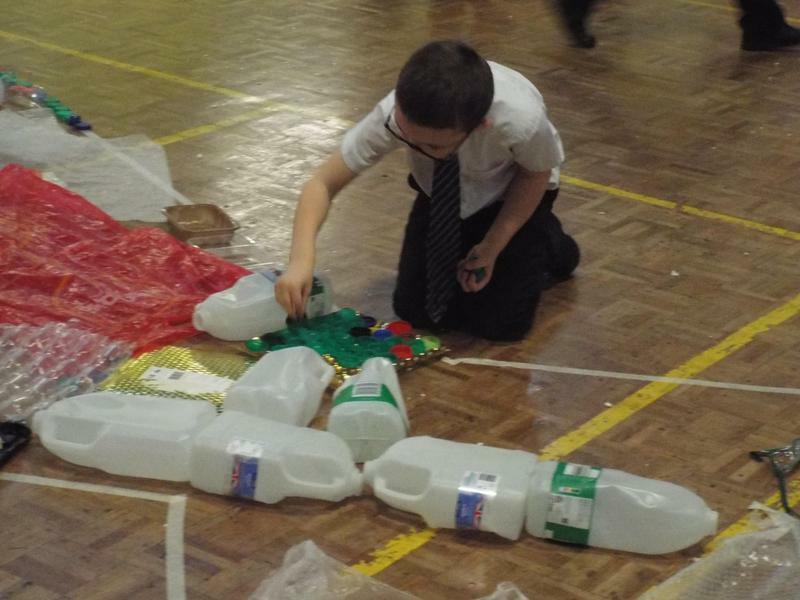 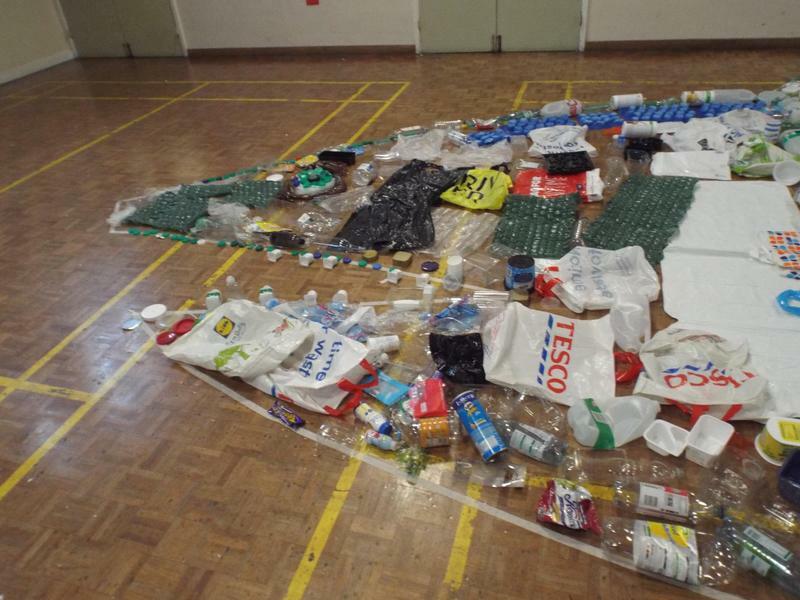 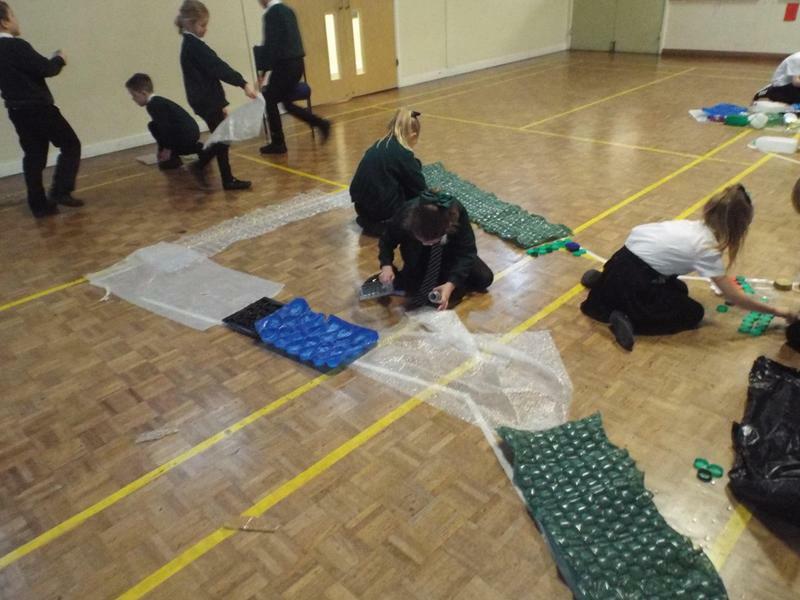 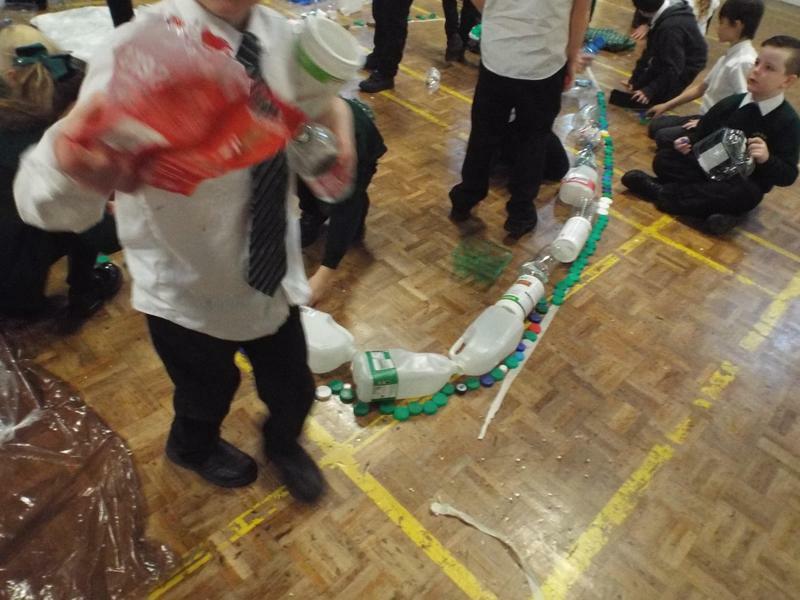 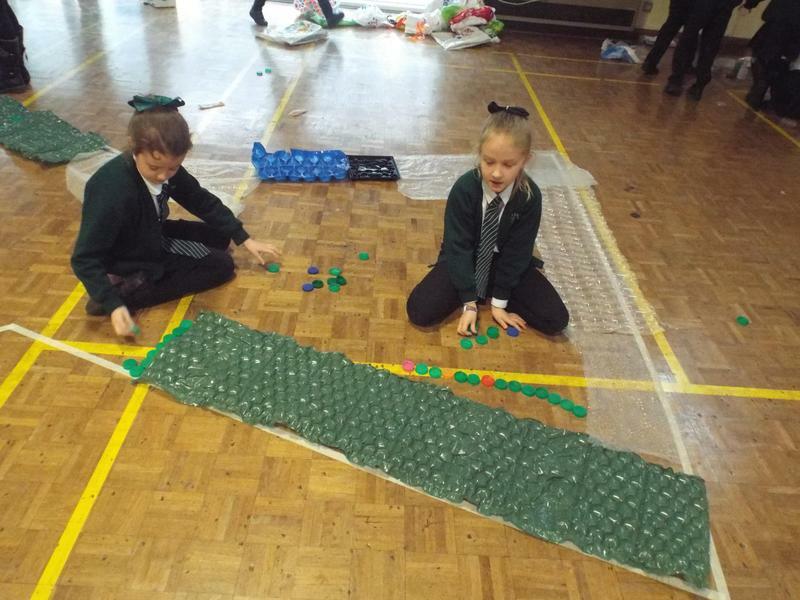 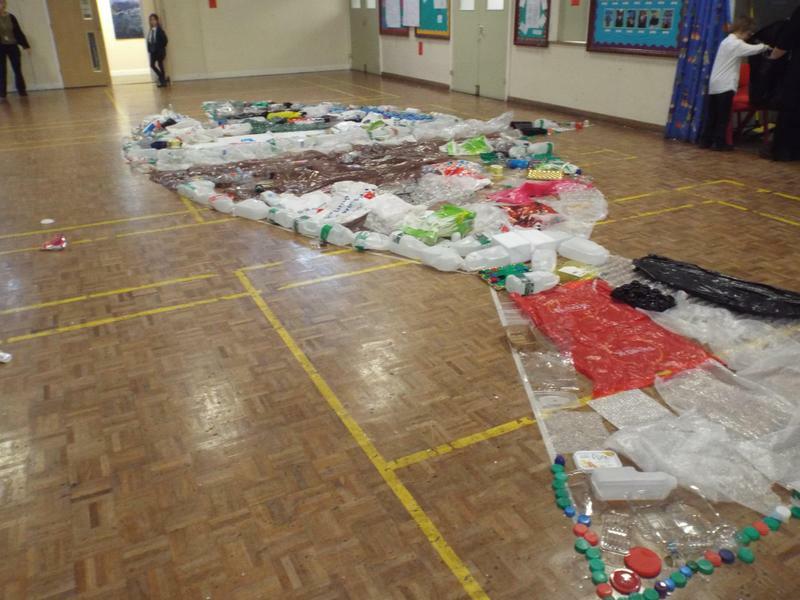 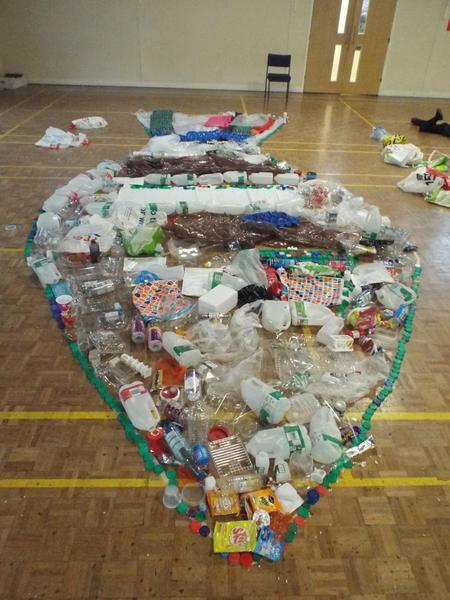 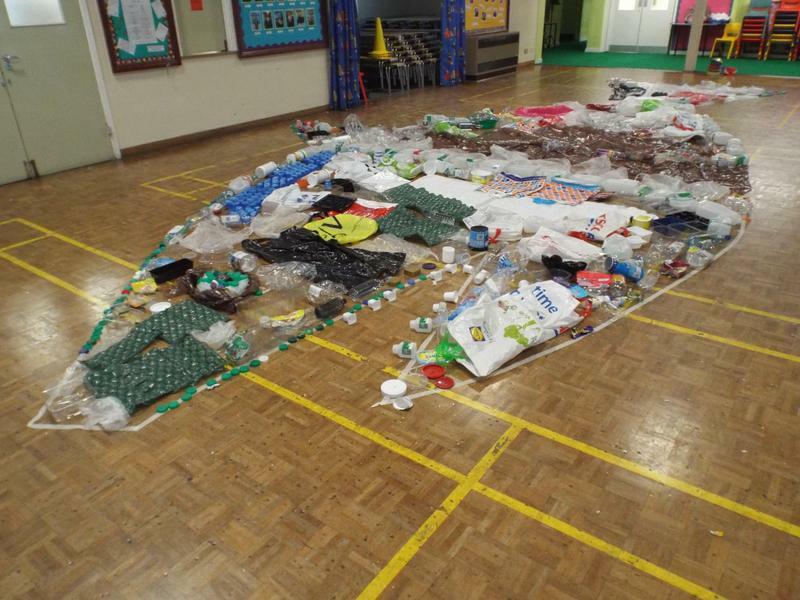 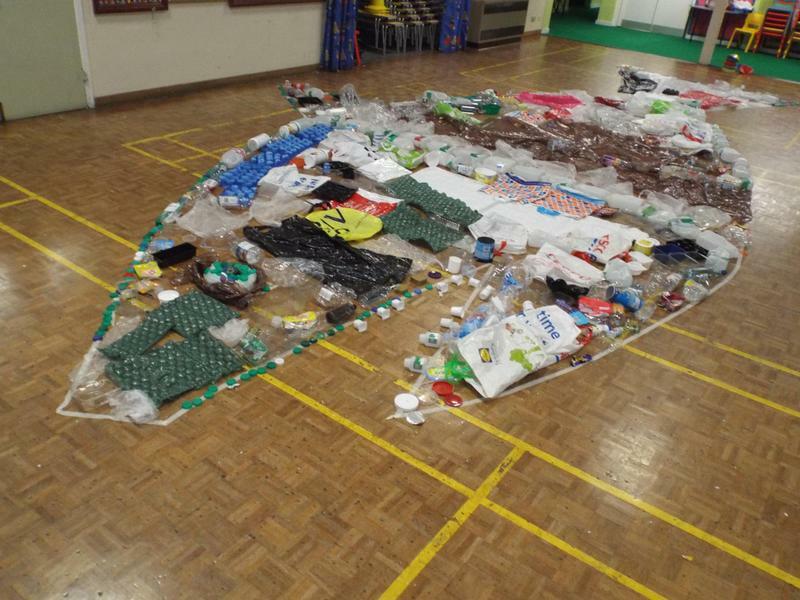 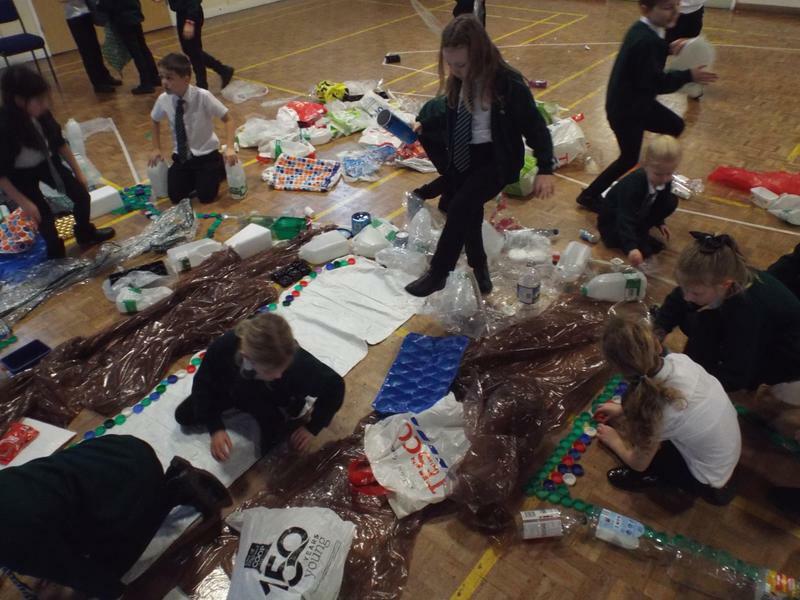 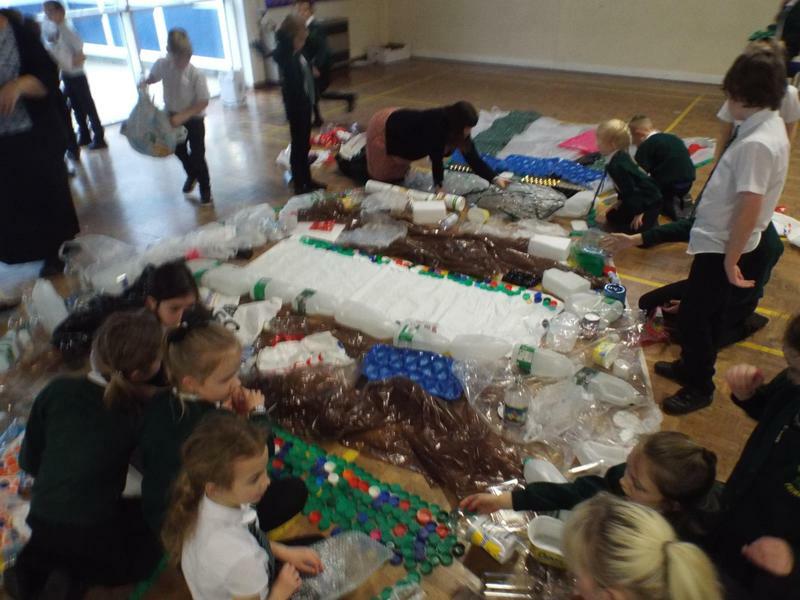 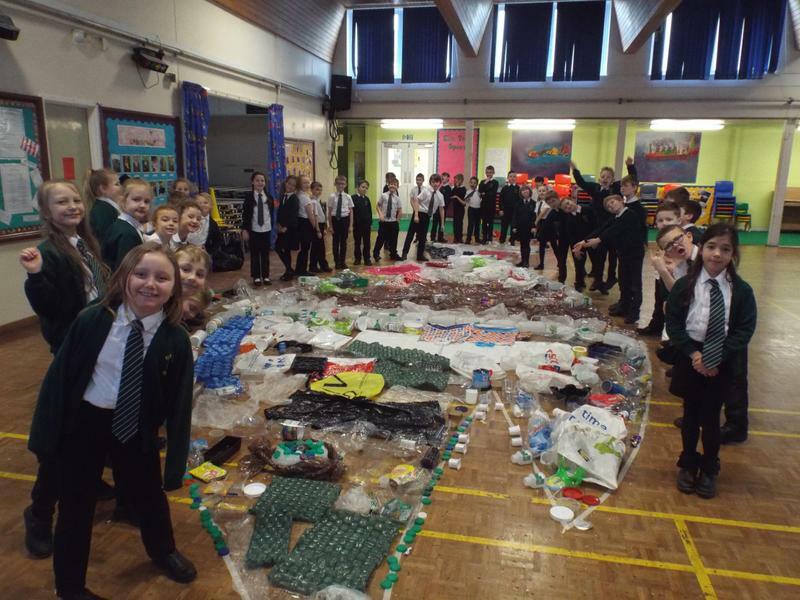 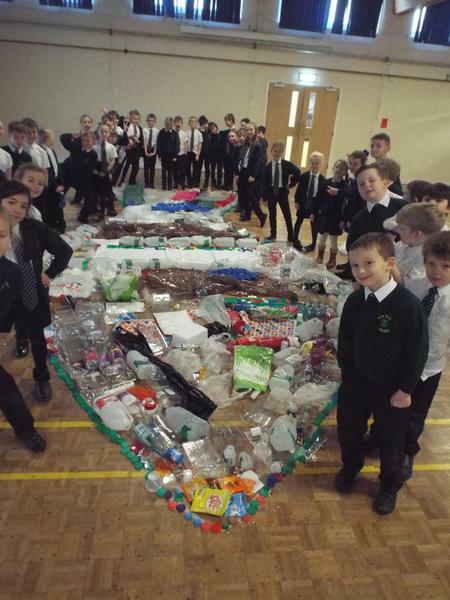 In the hall they used all the plastic that they collected to create a fish and a shark to represent all the plastic that is ending up in the sea and affecting the living creatures. 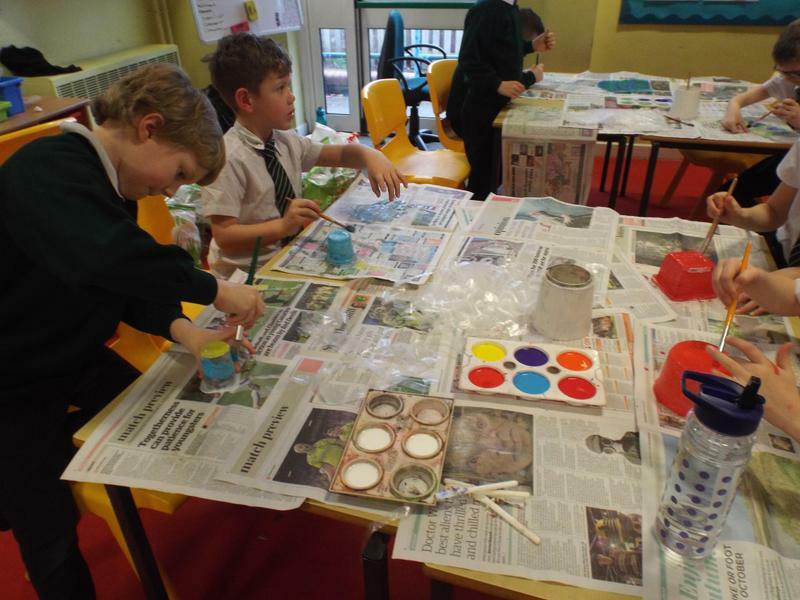 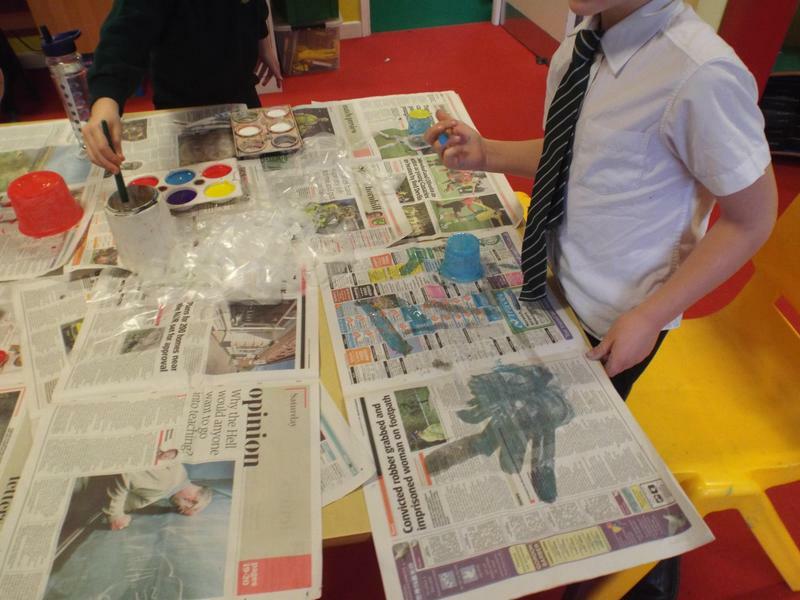 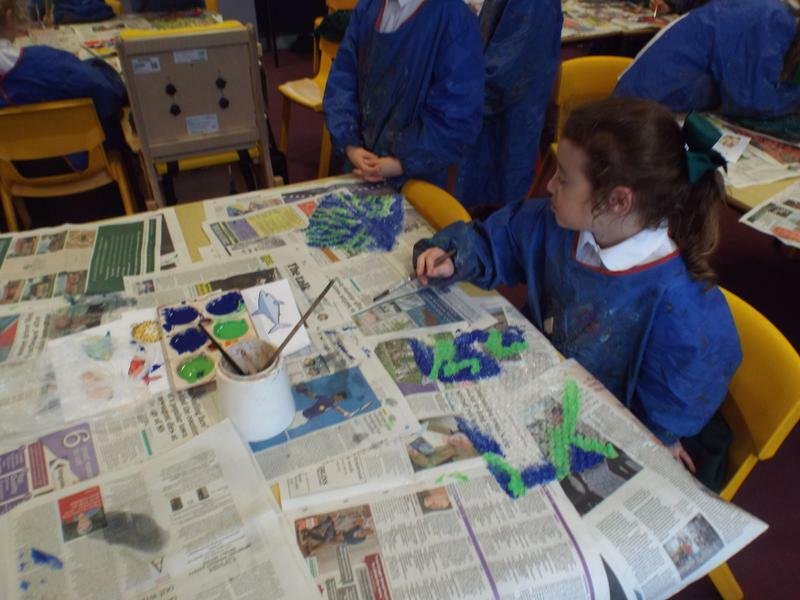 The children picked out the different plastics carefully in order to create texture and pattern. 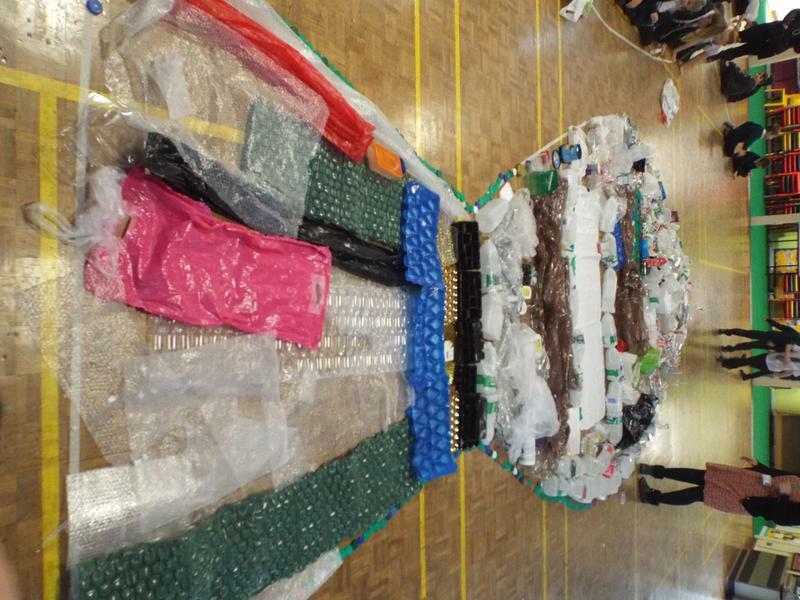 The overall artwork was very effective and highlighted how much plastic is wasted every day. 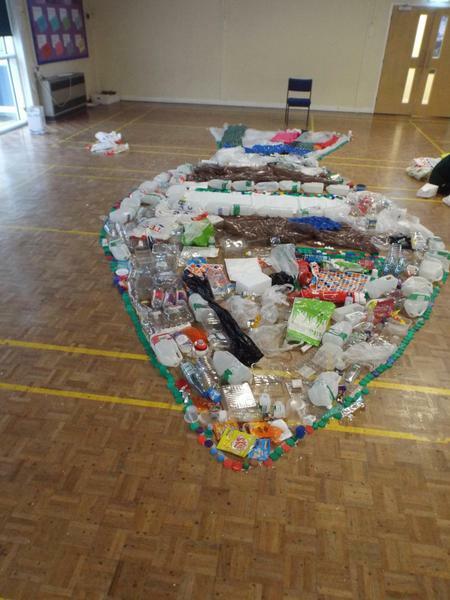 Towards the end of the day the children created a more permanent display in school as a reminder of their learning using only plastic to create a sea scene and learnt about ways to help with improve this issue. 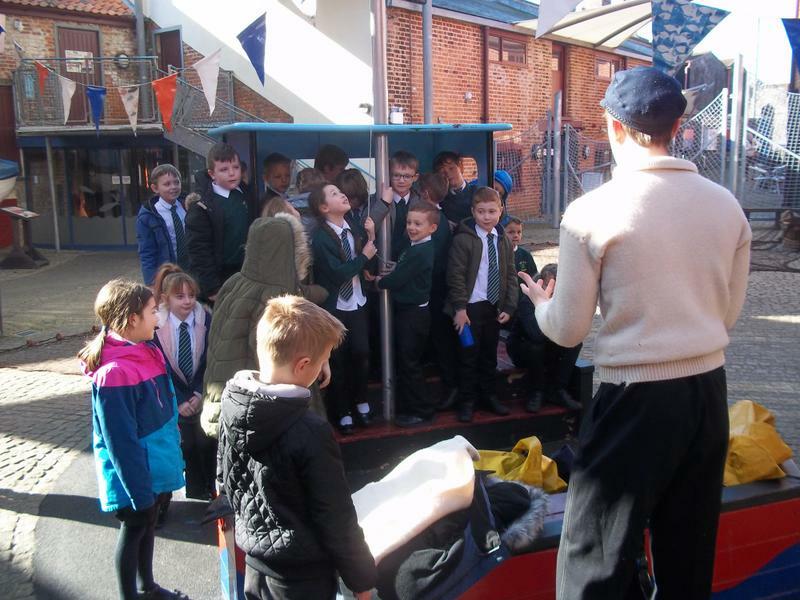 Thank you to all the adults that sent in some resources for us to use. 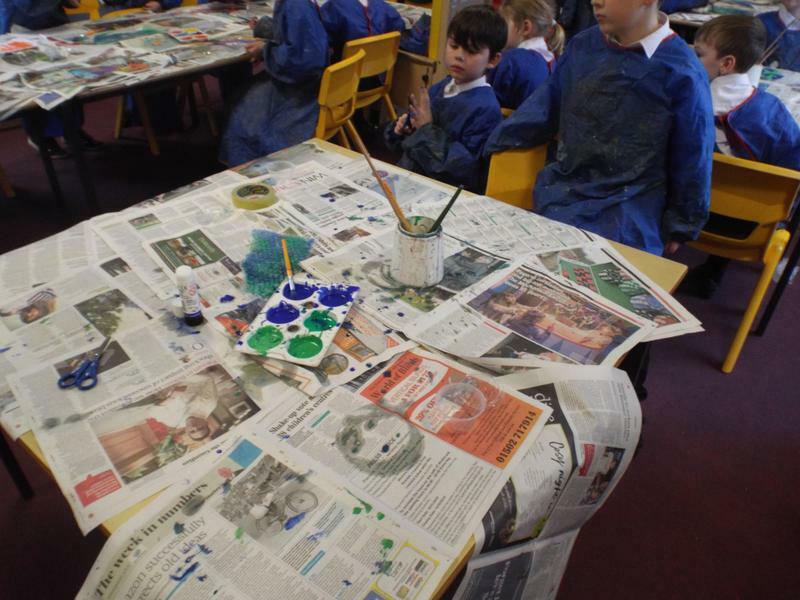 Take a look at the pictures below to see the results. 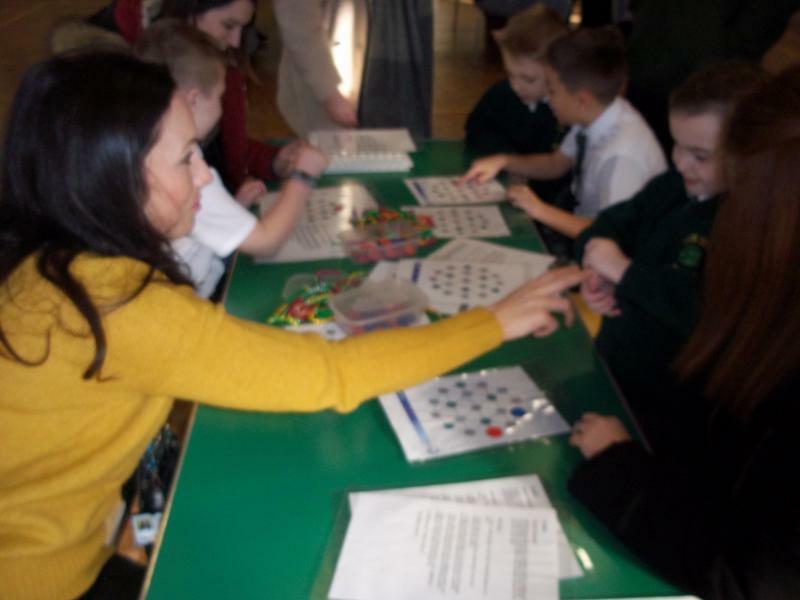 Thank you to all adults who managed to attend the Year 3 Maths Share. 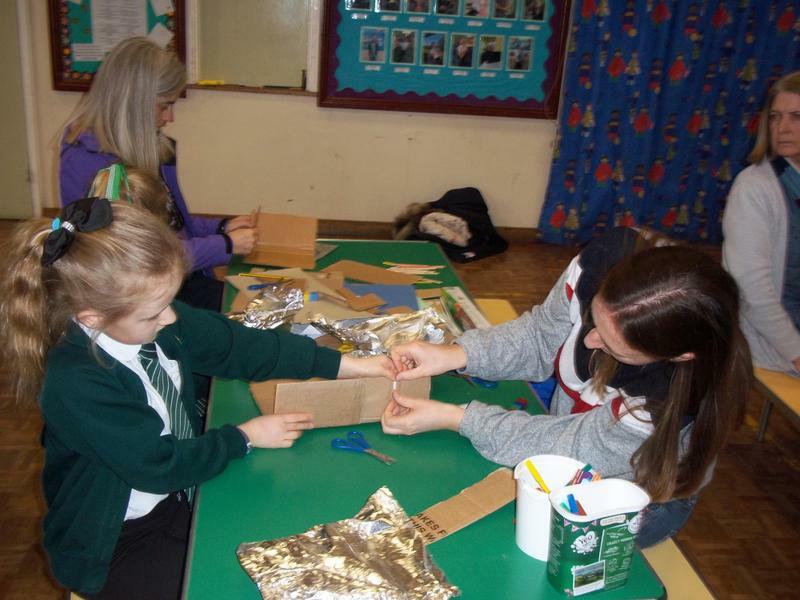 We were really impressed with how many of you managed to come and get to see your children at work! 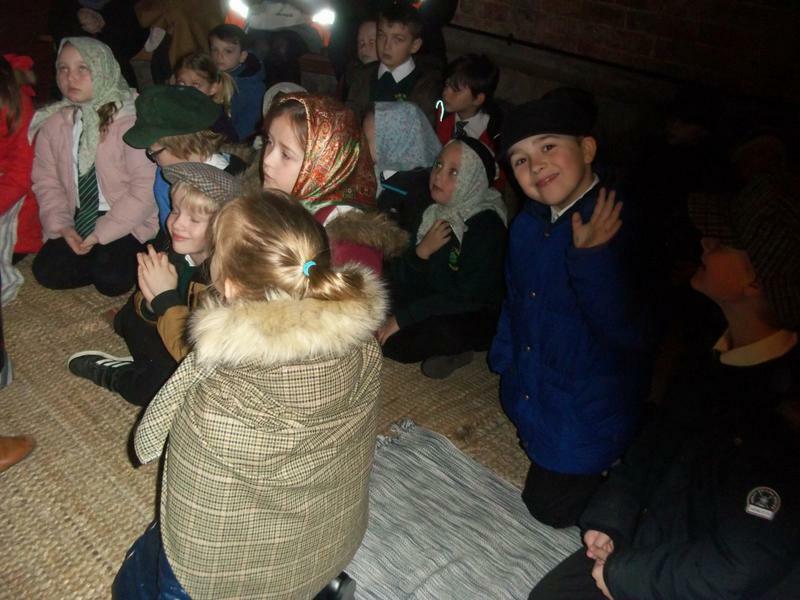 Below are some photos we took on the day. 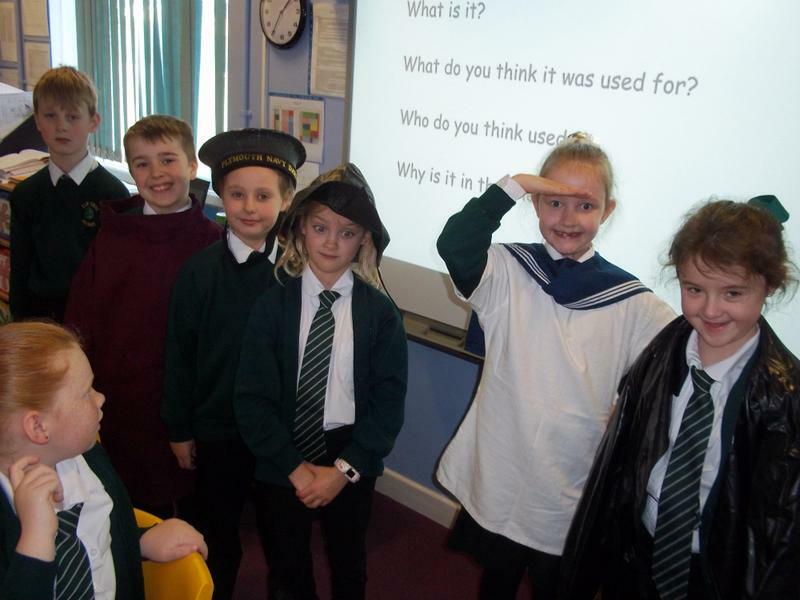 Thank you for encouraging your children to use the Prodigy website. 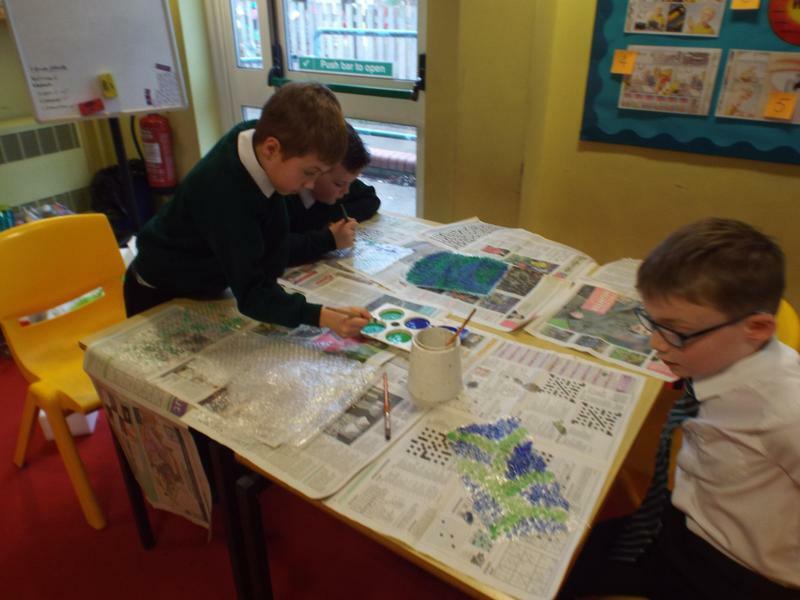 I hope that you can continue to encourage them to try out the weekly activities that we have set for them. 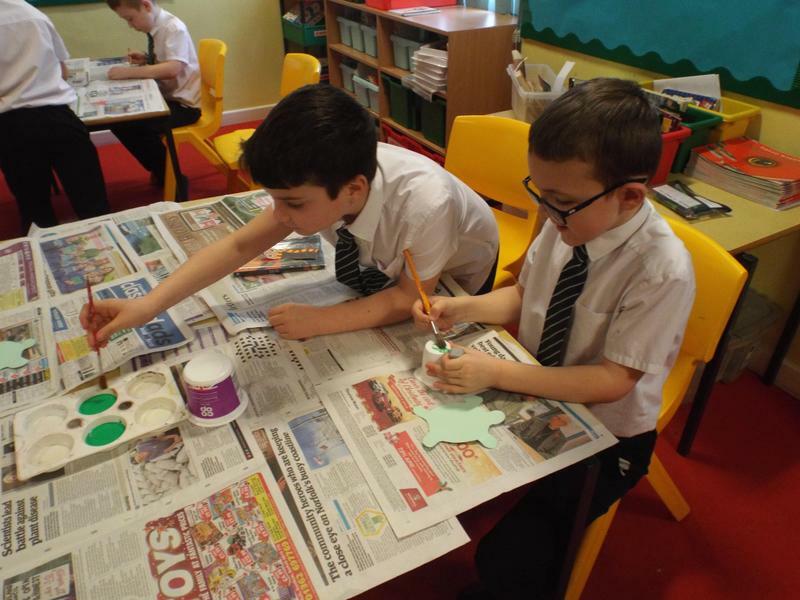 Can you please check how often they are logging into the SPAG.com website for English, as we have not seen many complete the first 2 activities that they were set. 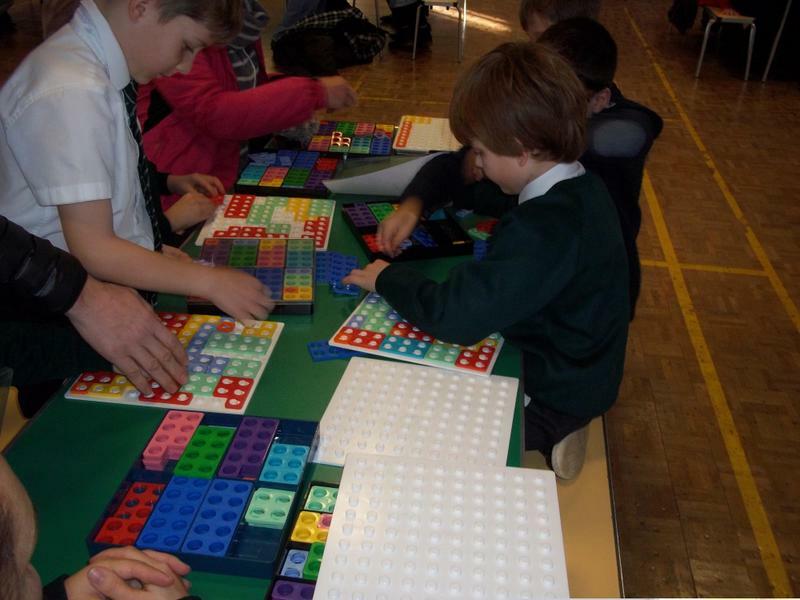 If you or your child are having problems accessing these please let us know. 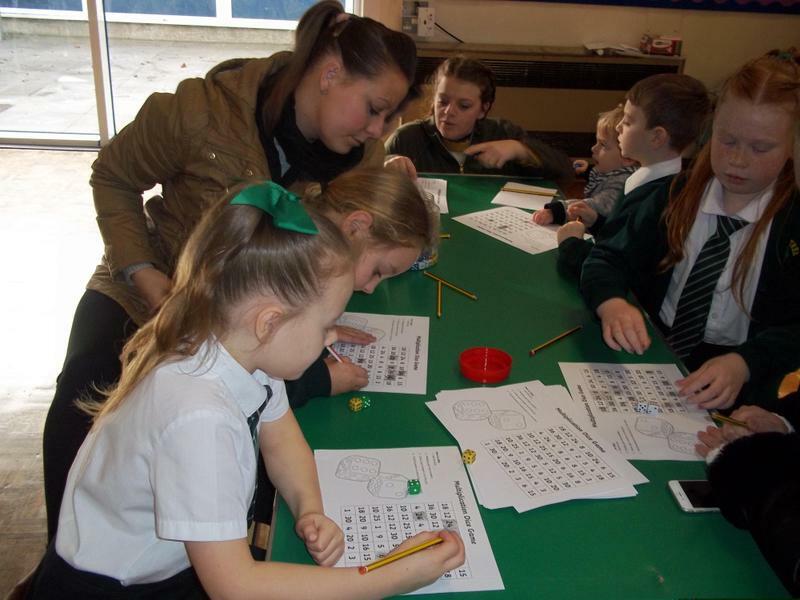 On Thursday lunchtime there is a homework club for pupils who may have trouble accessing websites at home. 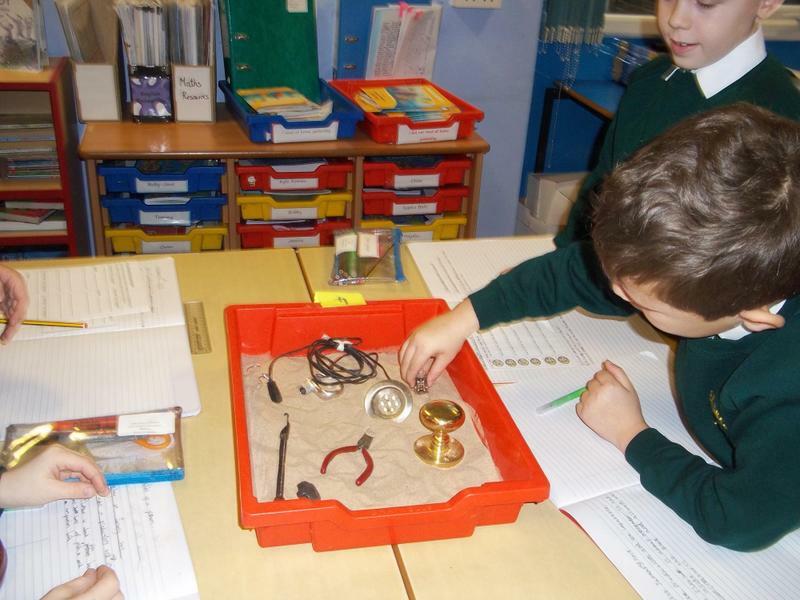 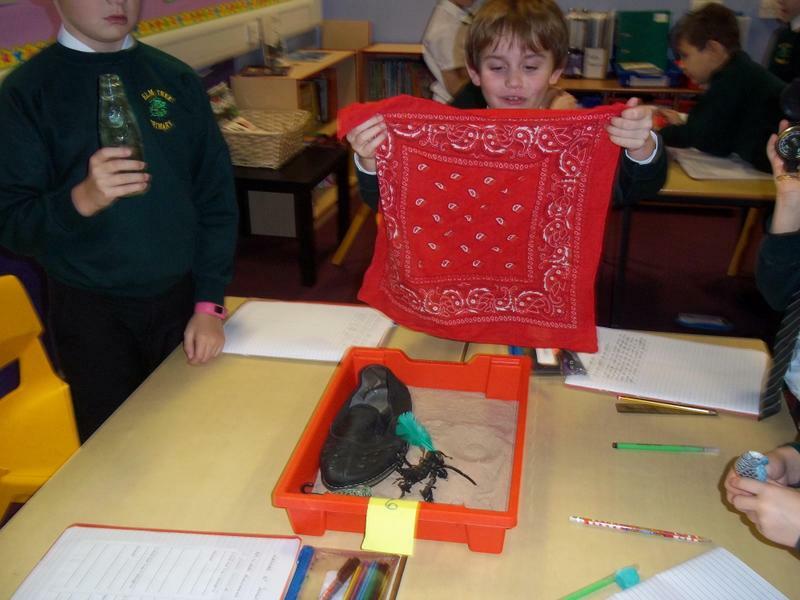 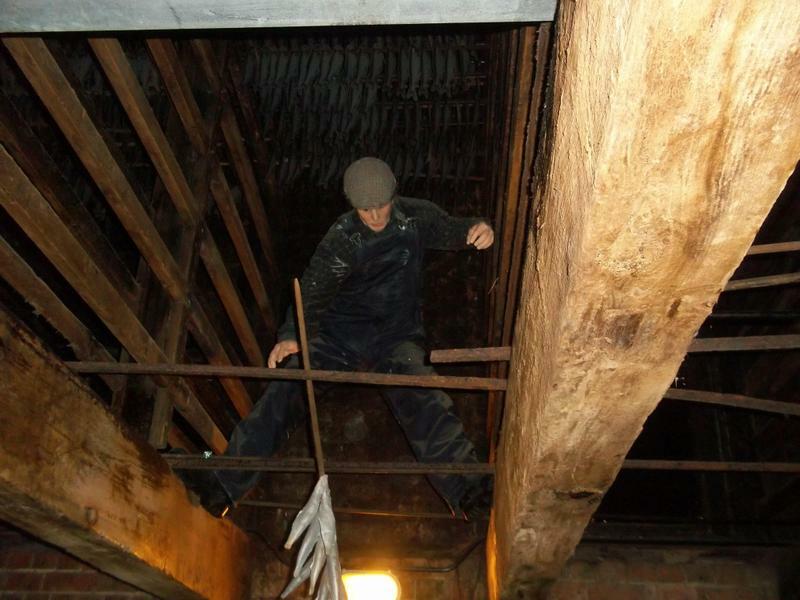 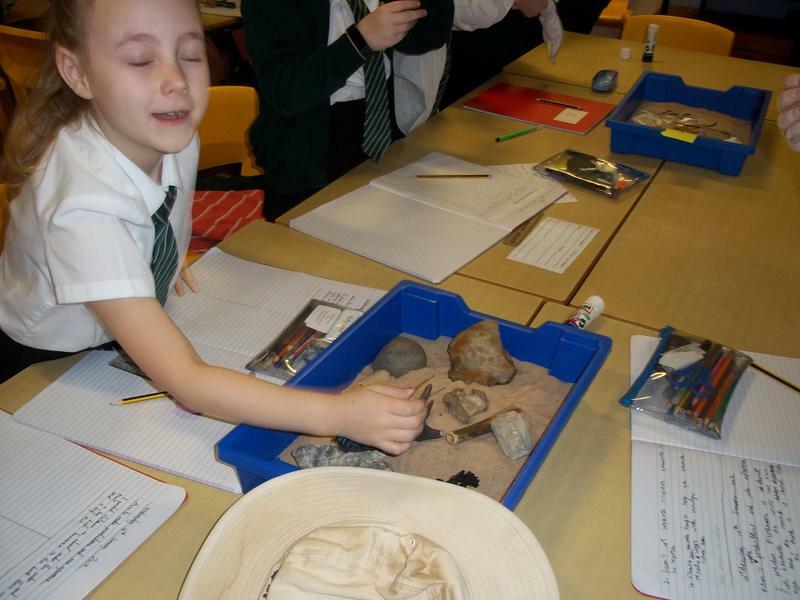 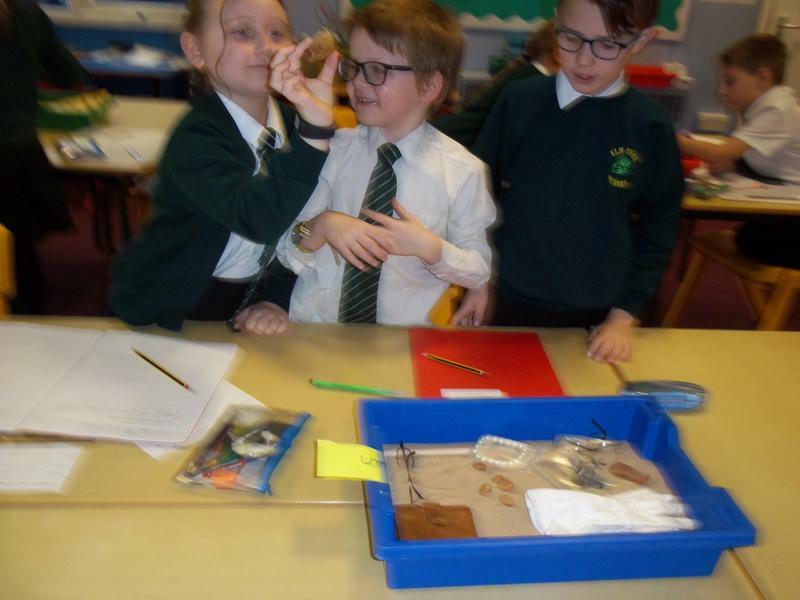 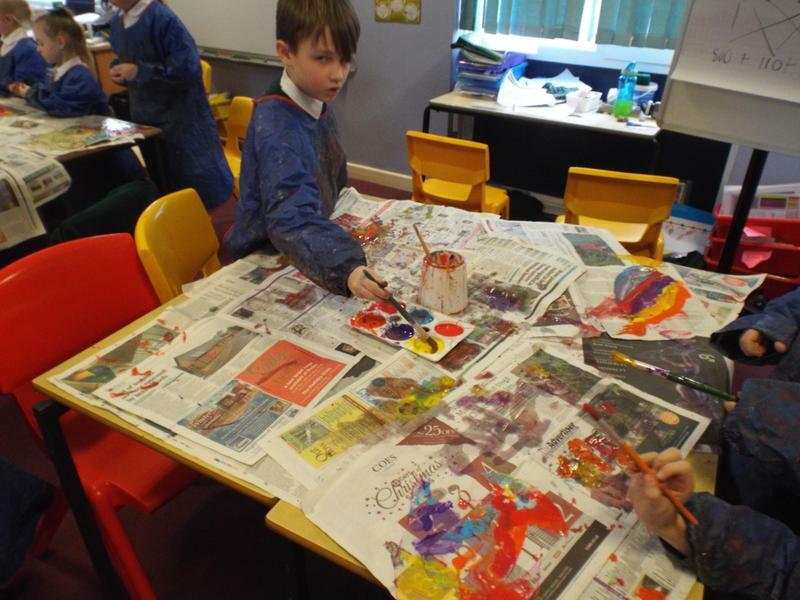 Below are some photos of 3G at work connected with our English and Enquiry topic.